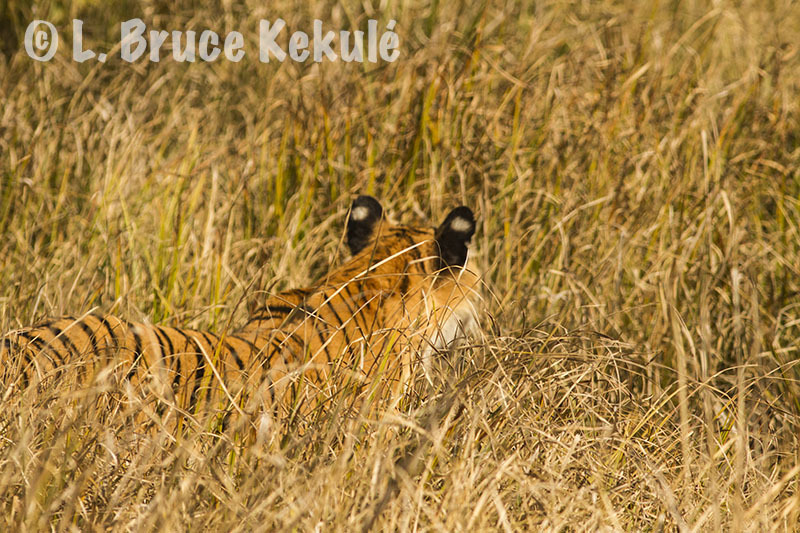 Paarwali tigress in the grass on my last morning in Corbett…! 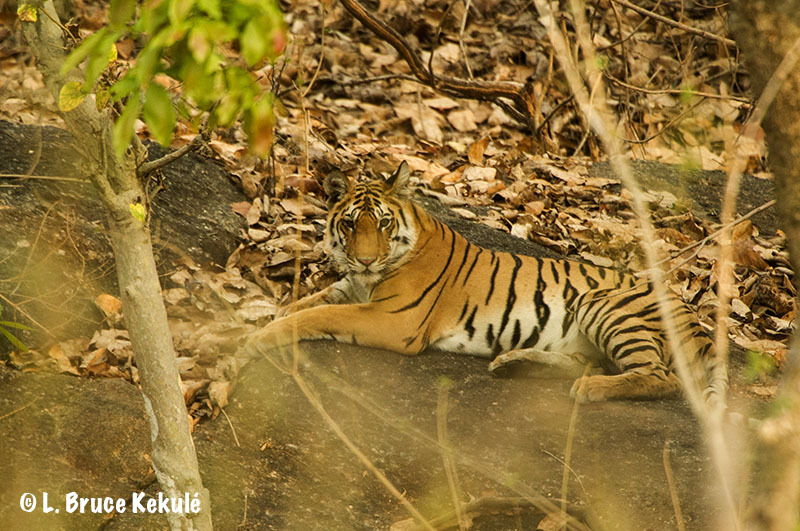 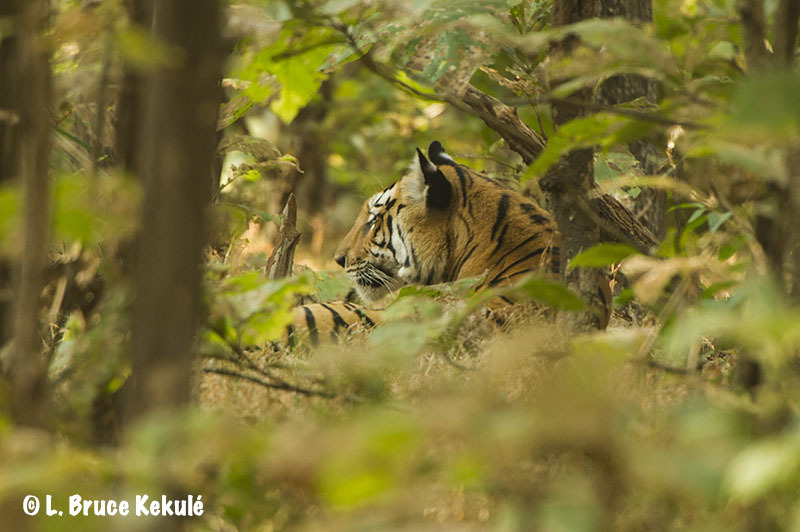 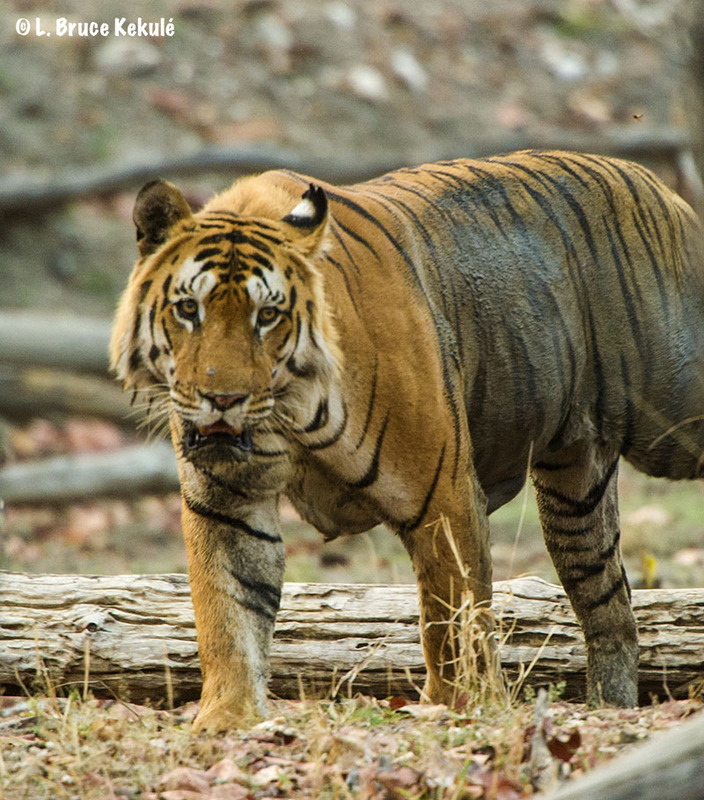 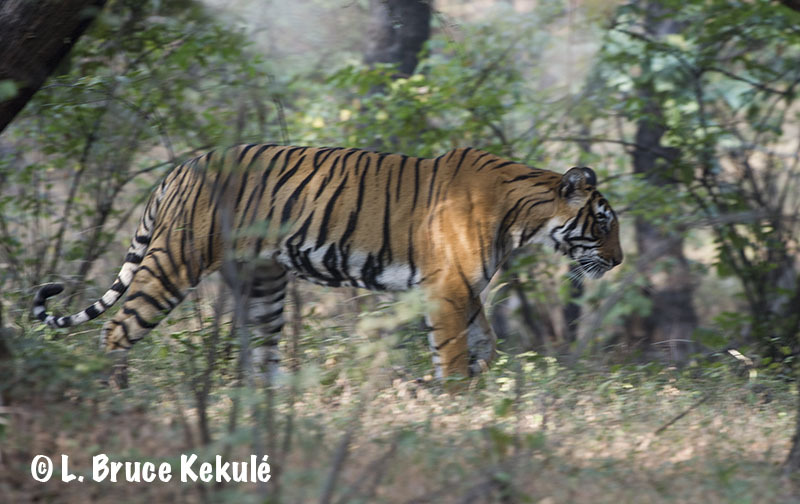 I have been coming to India since 2013 when I made my first visit to Tadoba Anhari Wildlife Sanctuary and National Park situated in Maharashtra State…it is one of the best tiger reserves in the sub-continent and I managed to photograph seven tigers over nine days on that trip. 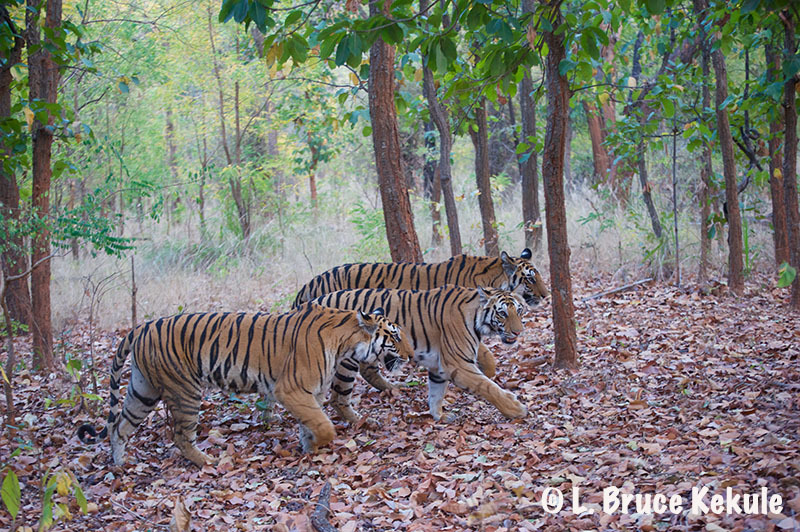 This was the first of many trips to India after tigers. 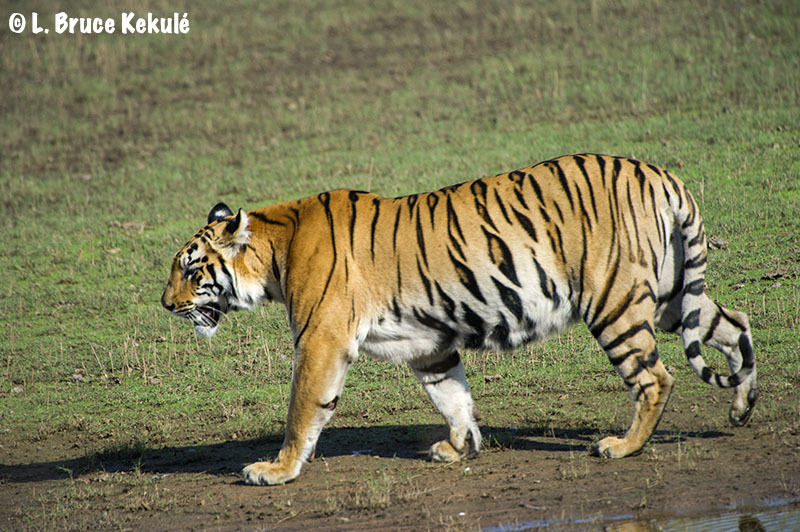 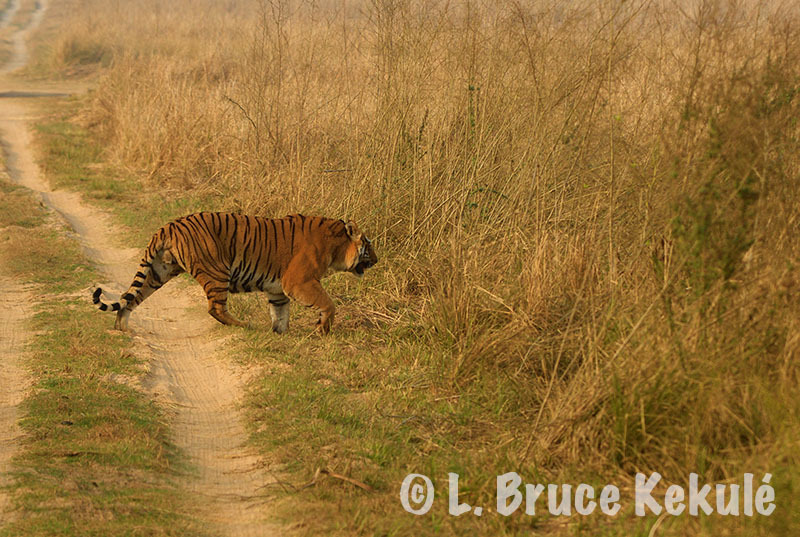 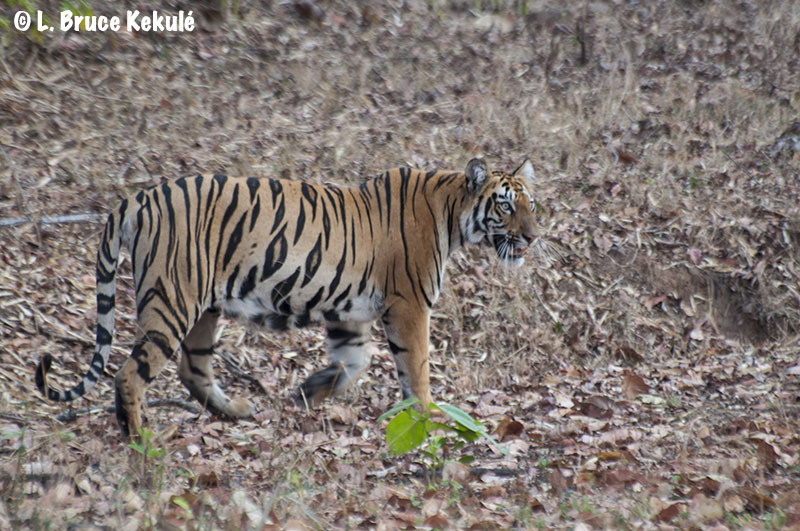 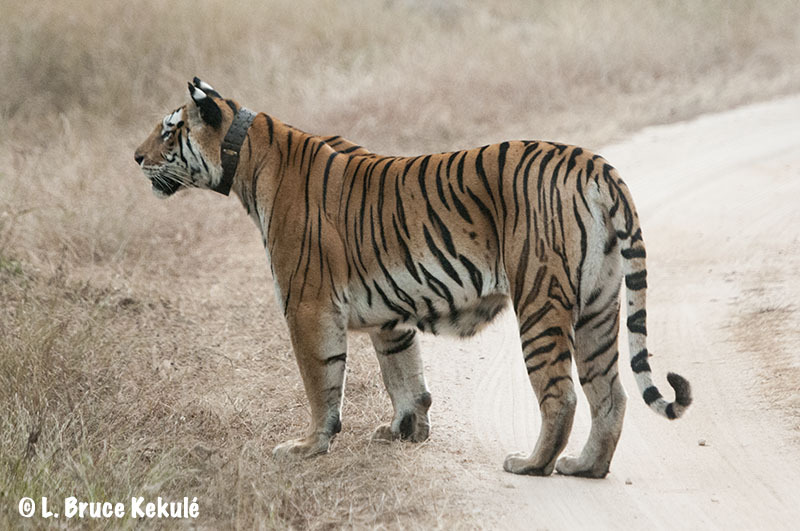 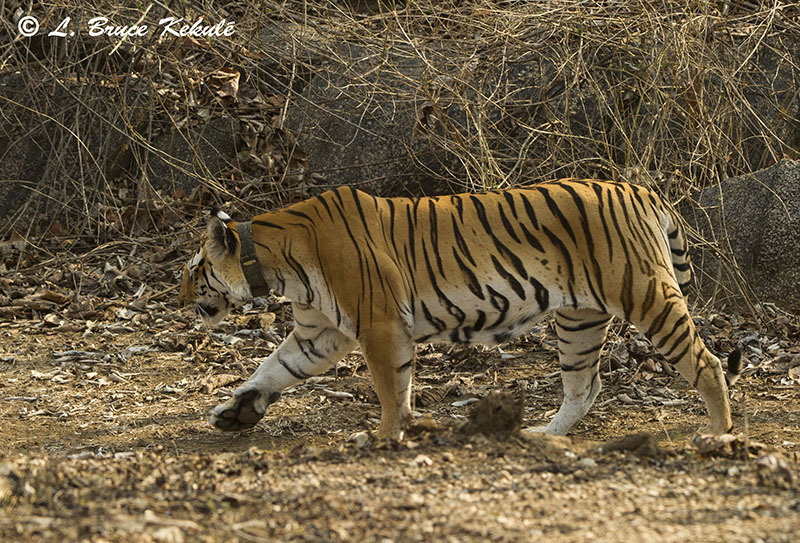 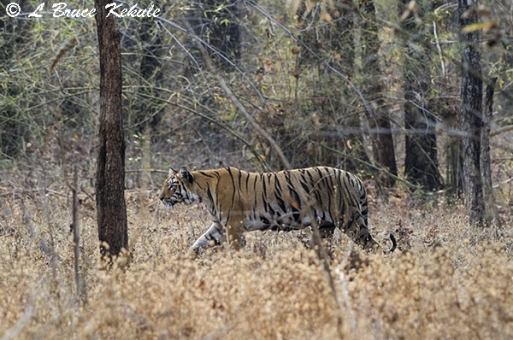 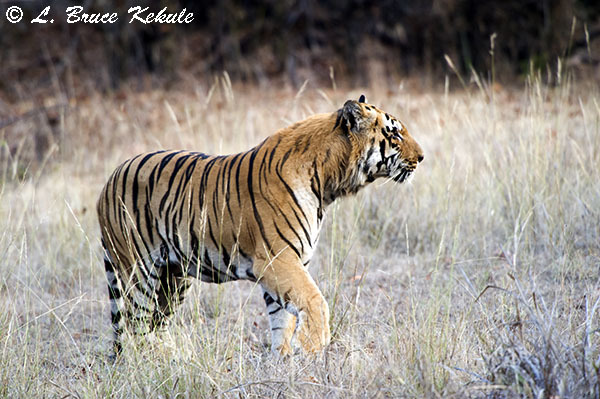 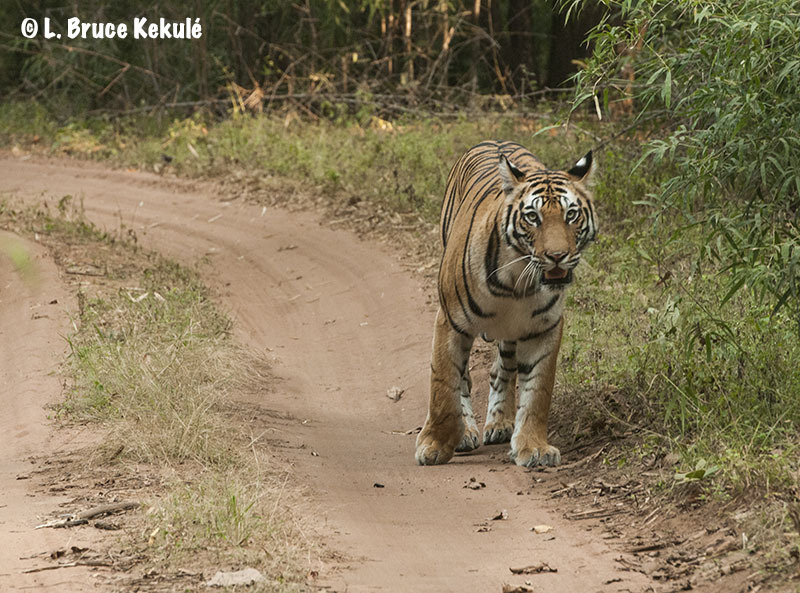 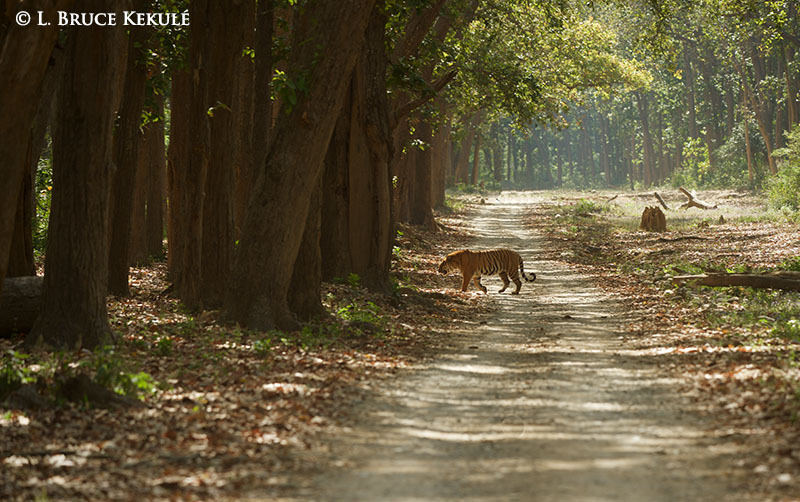 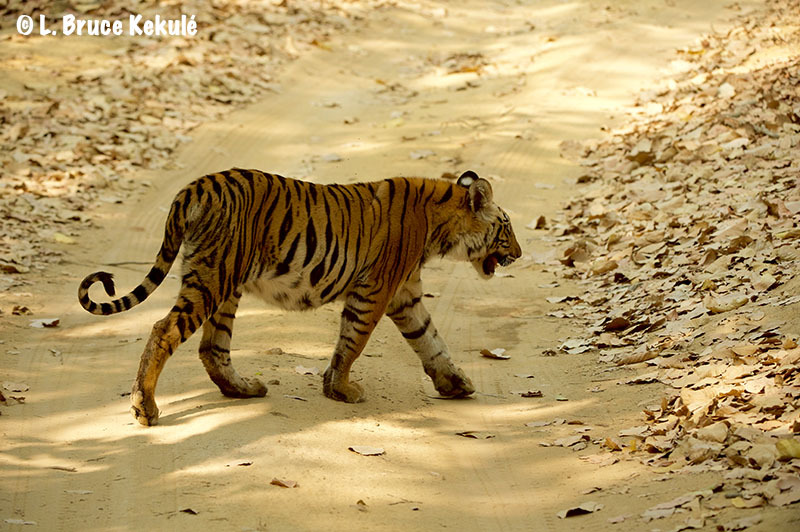 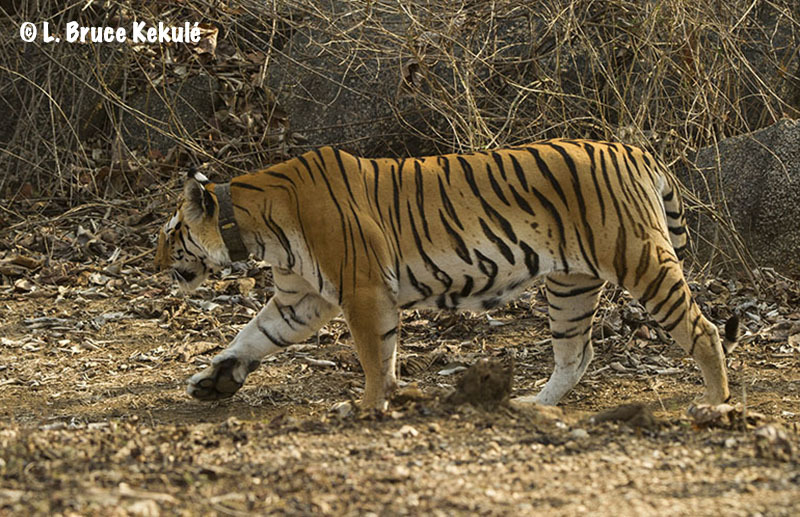 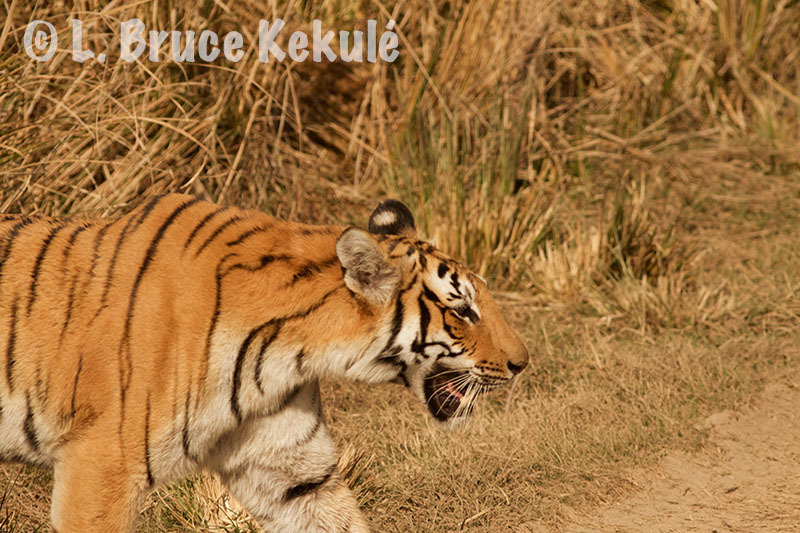 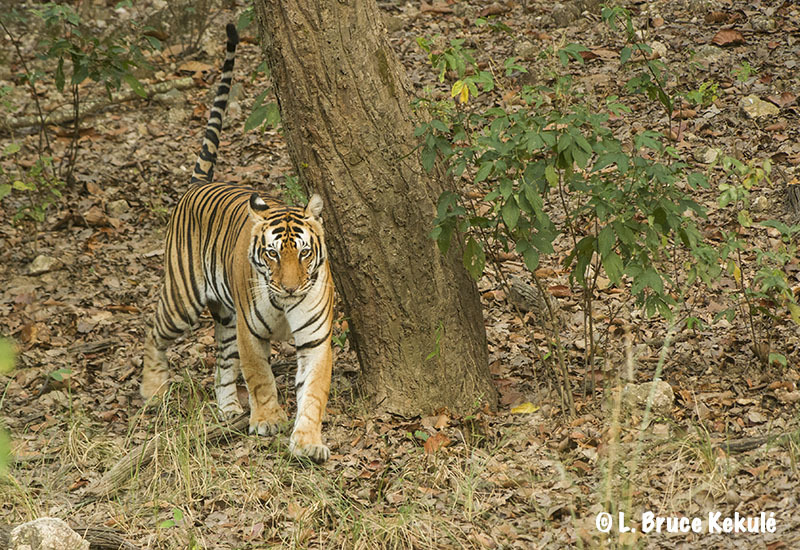 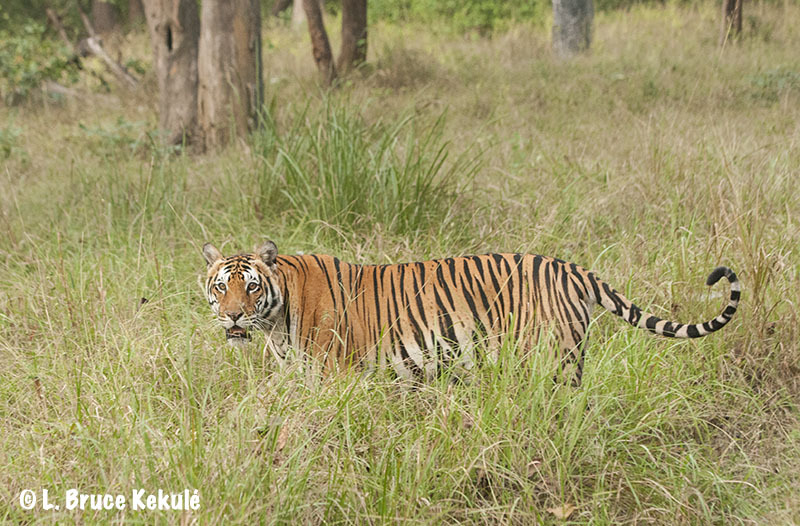 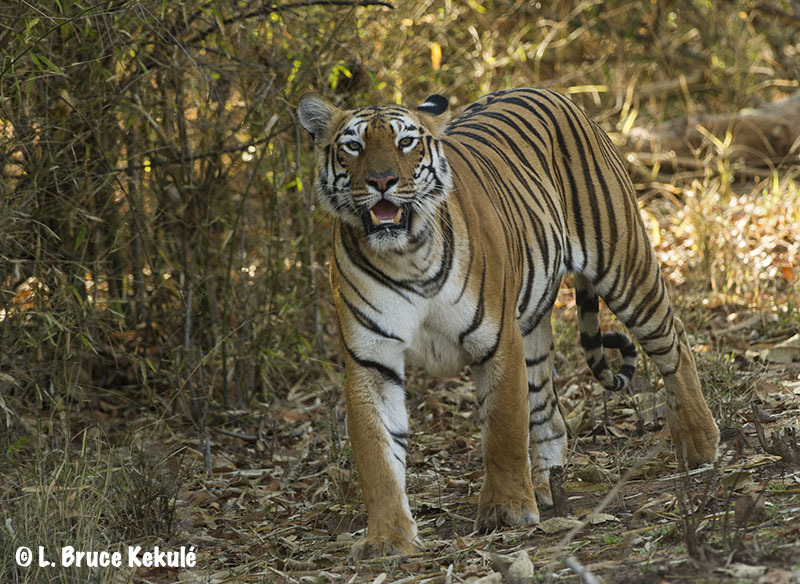 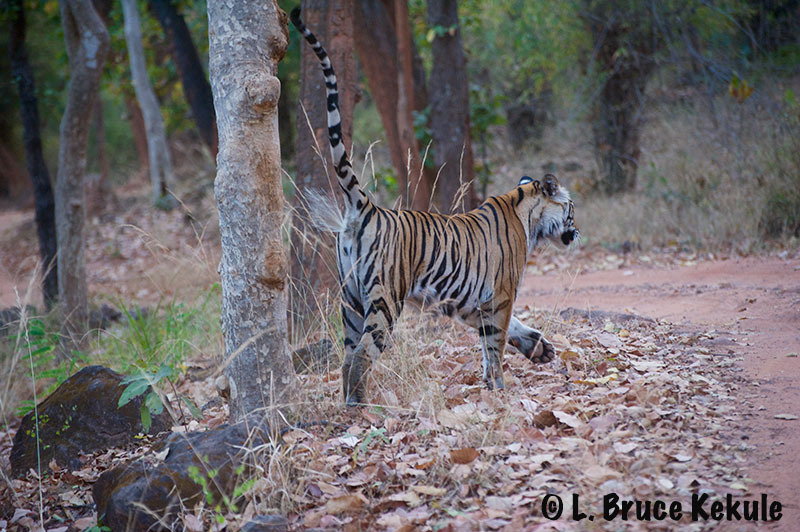 A male tiger crossing the road near the grasslands close to Dhikala Camp…! 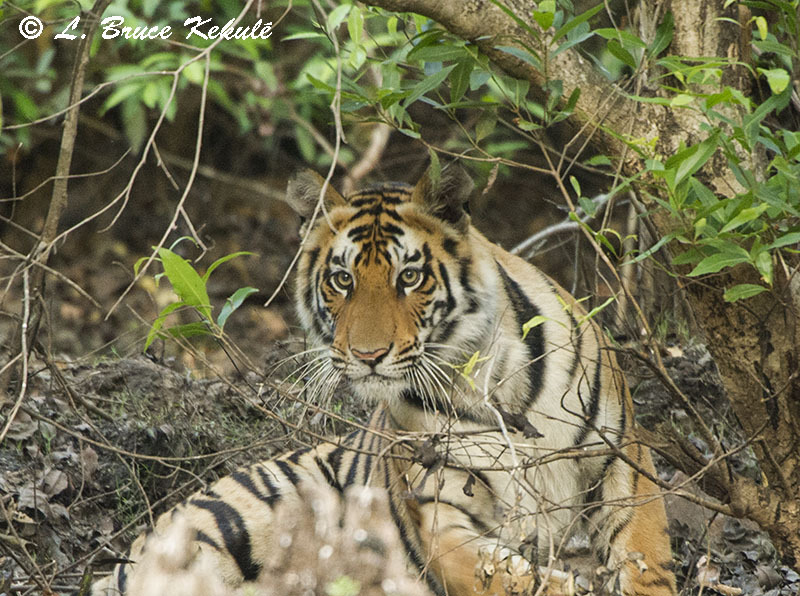 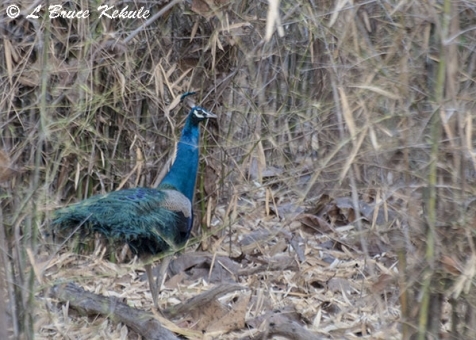 I have just returned from Corbett National Park in Uttarakhand State in the North, this being my 4th trip to one of India’s greatest protected areas. 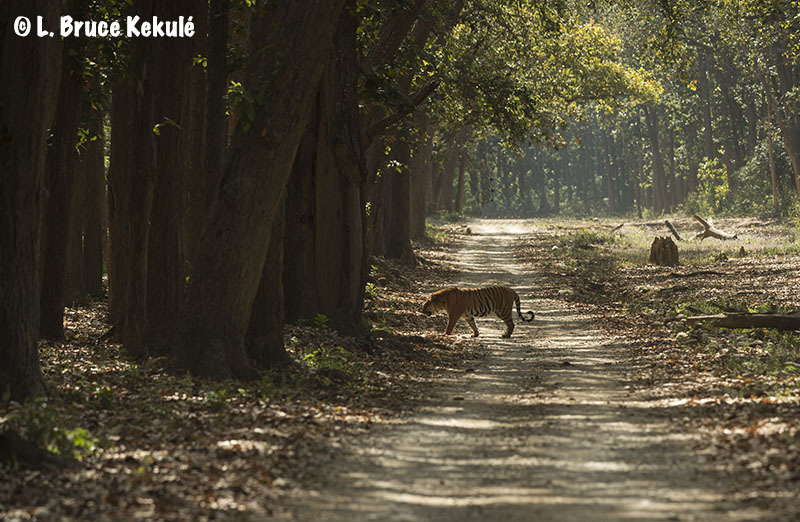 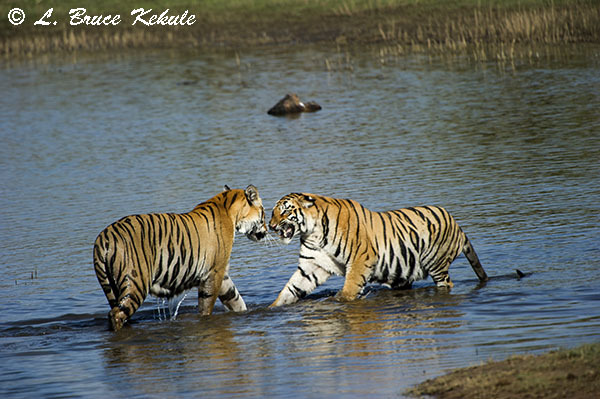 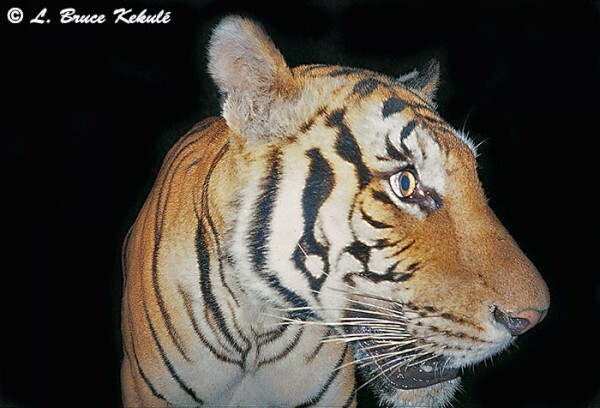 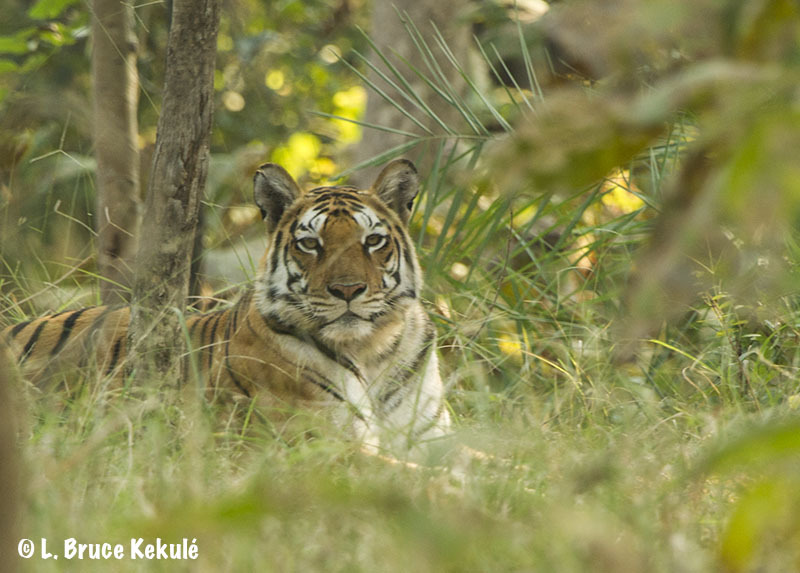 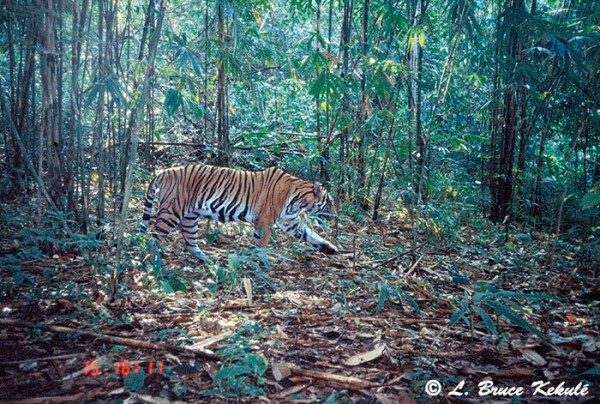 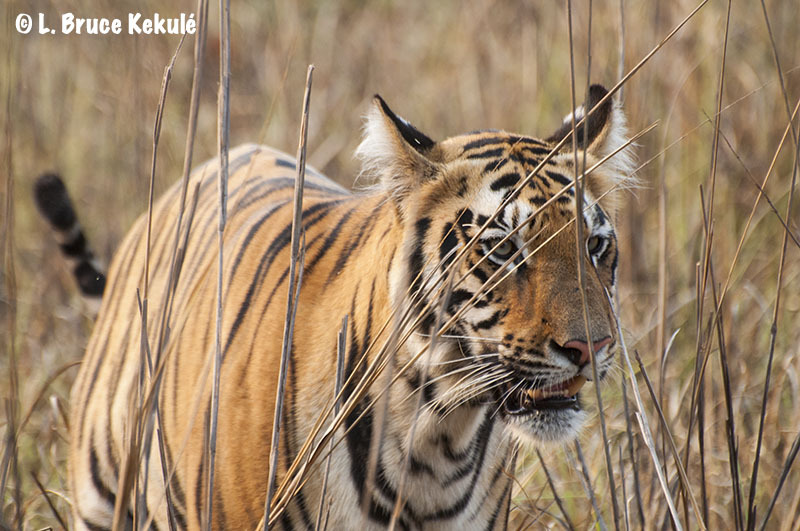 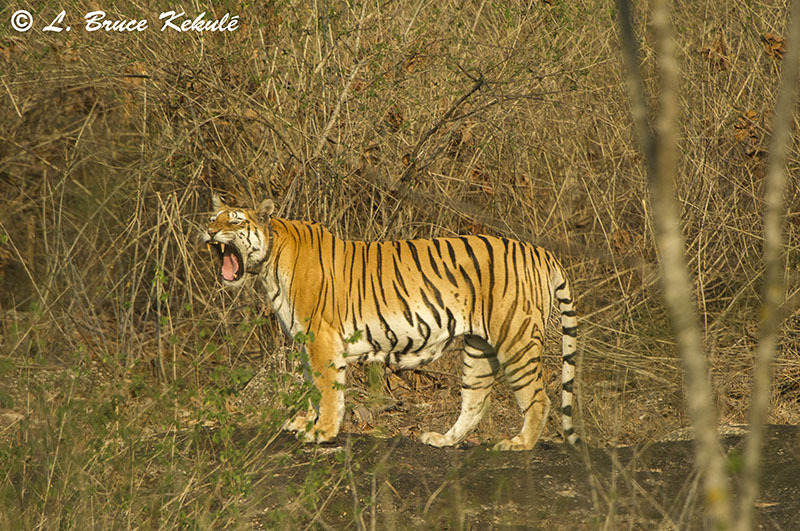 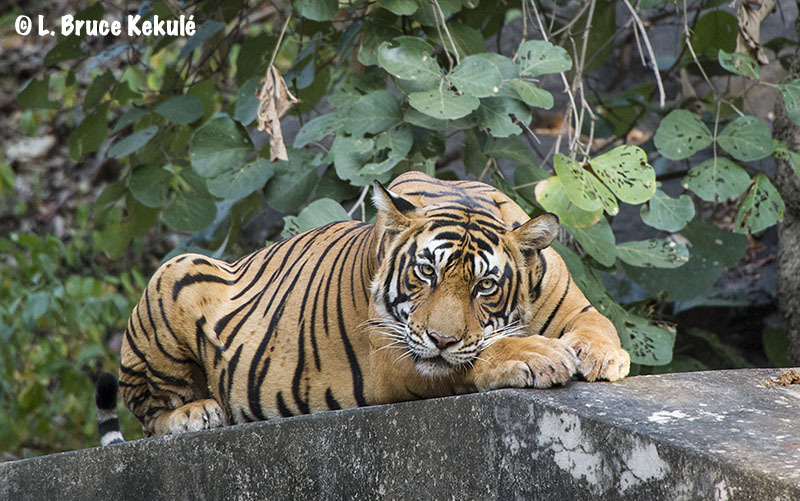 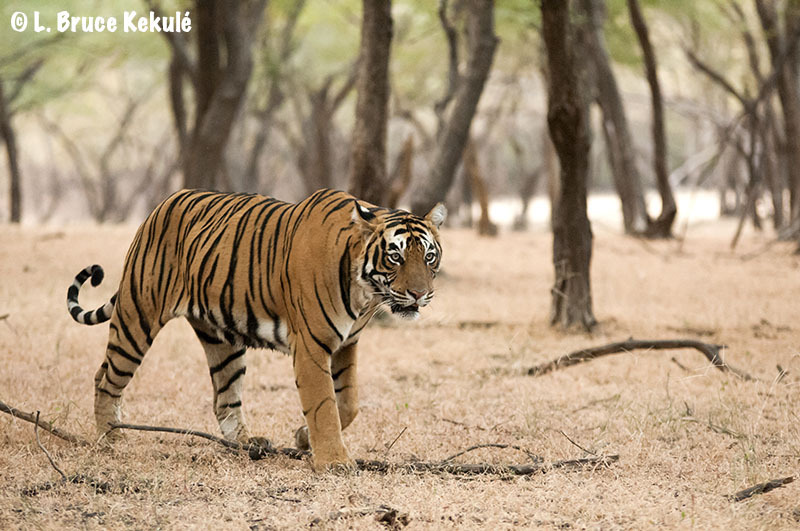 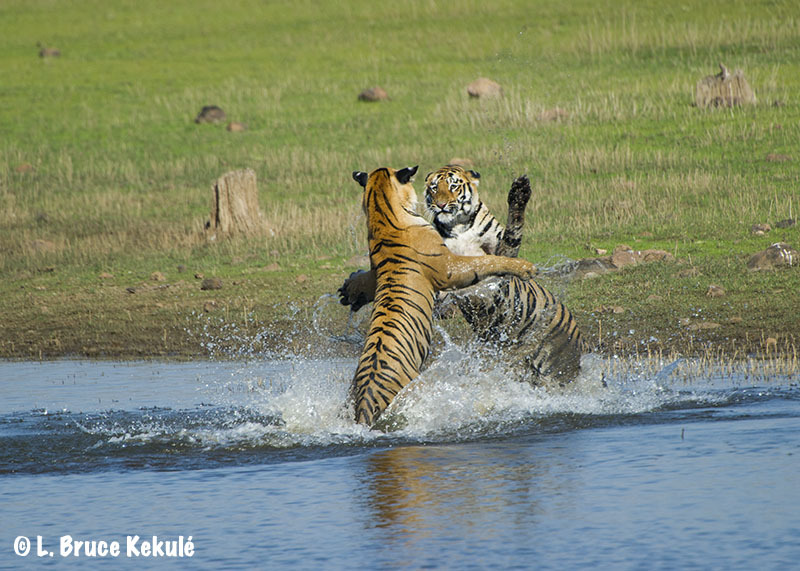 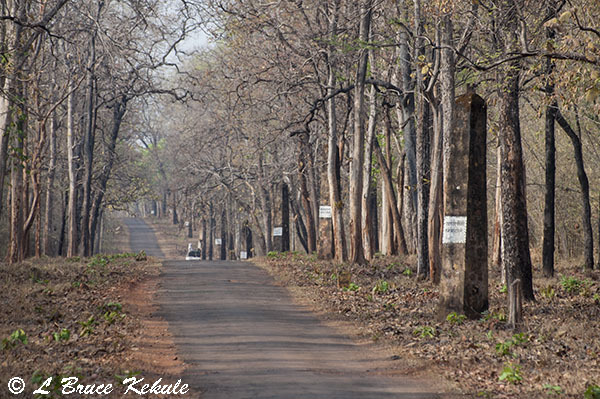 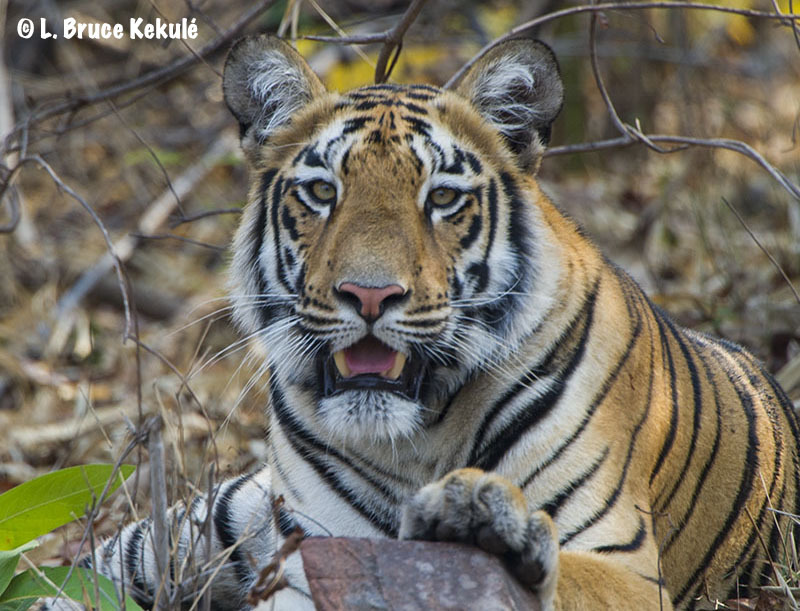 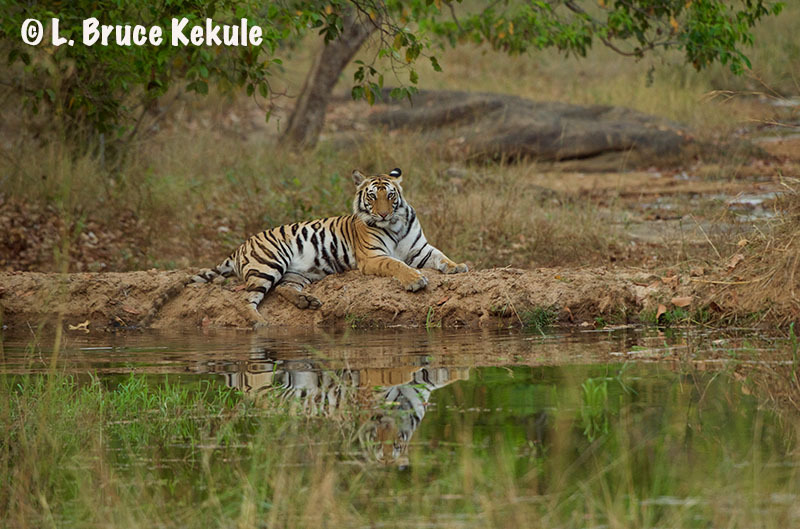 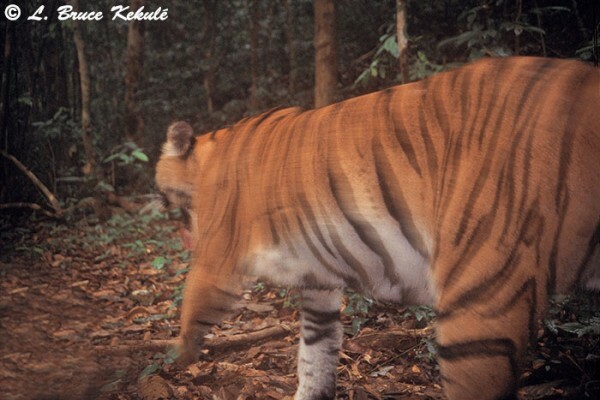 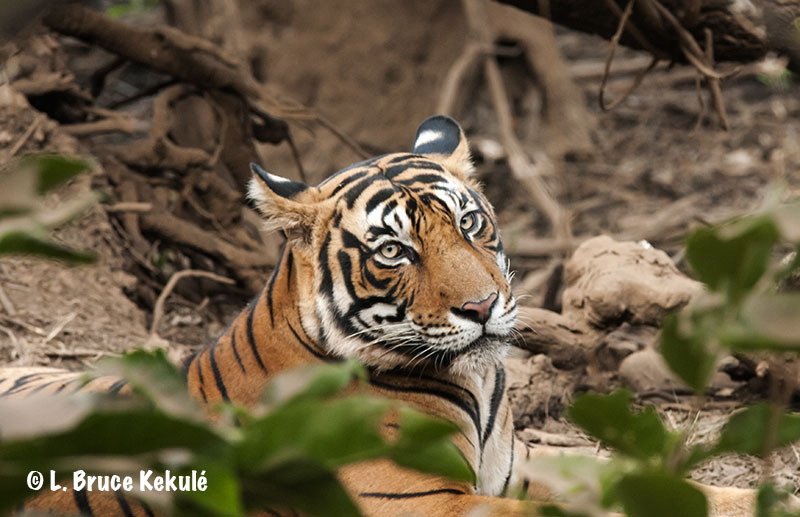 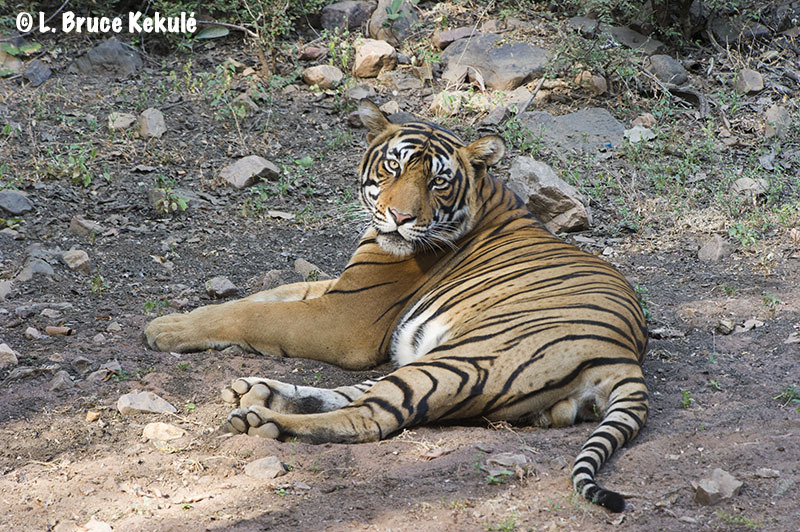 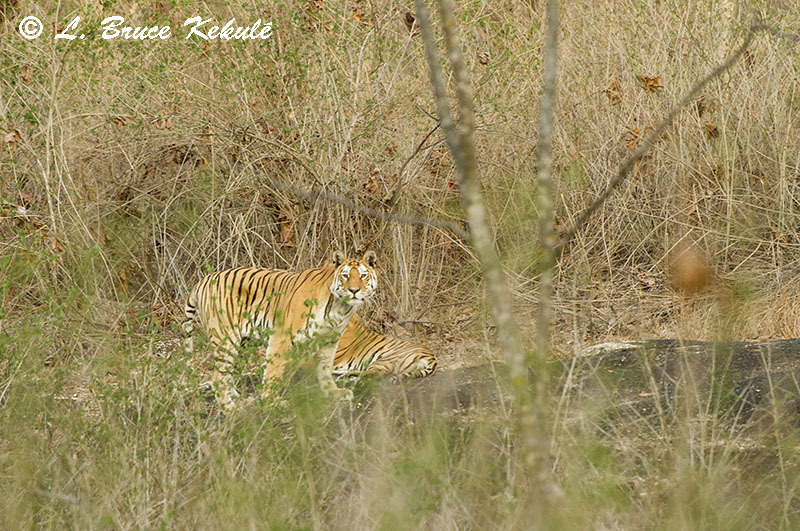 It is a stunning tiger reserve with many, many tigers. 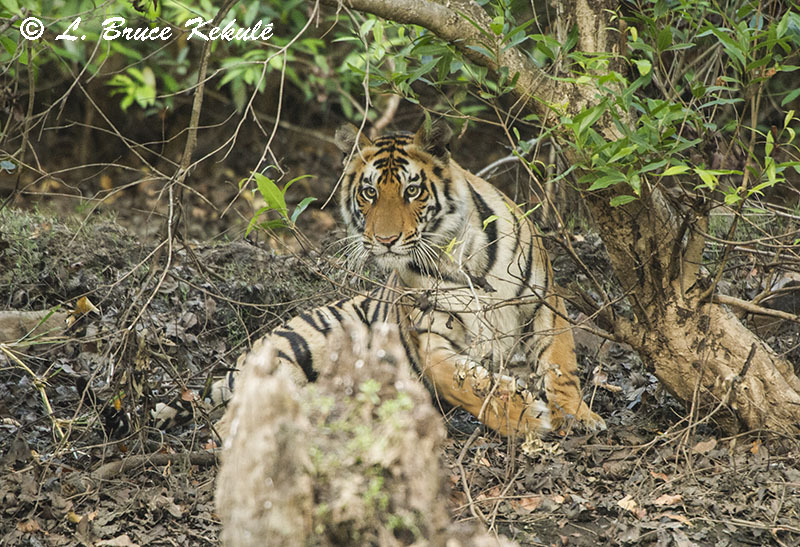 However, these predators like in most places, can be elusive and I was only able to catch one every trip for the first three years but I did get some stellar shots on those previous visits shown here. 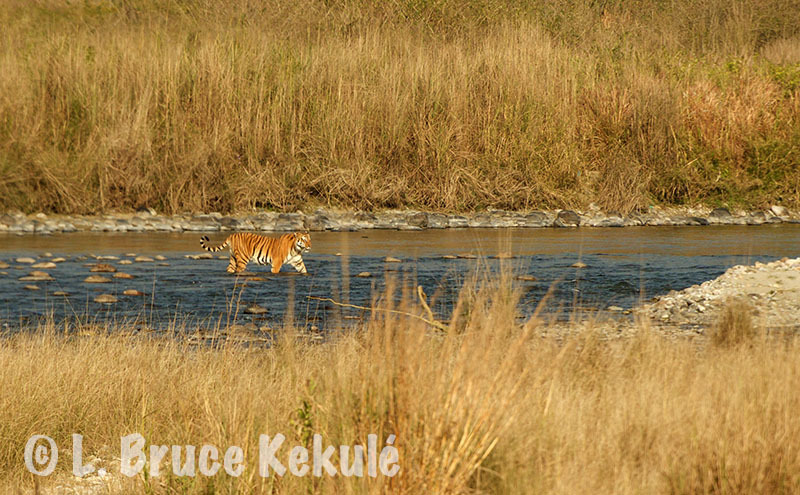 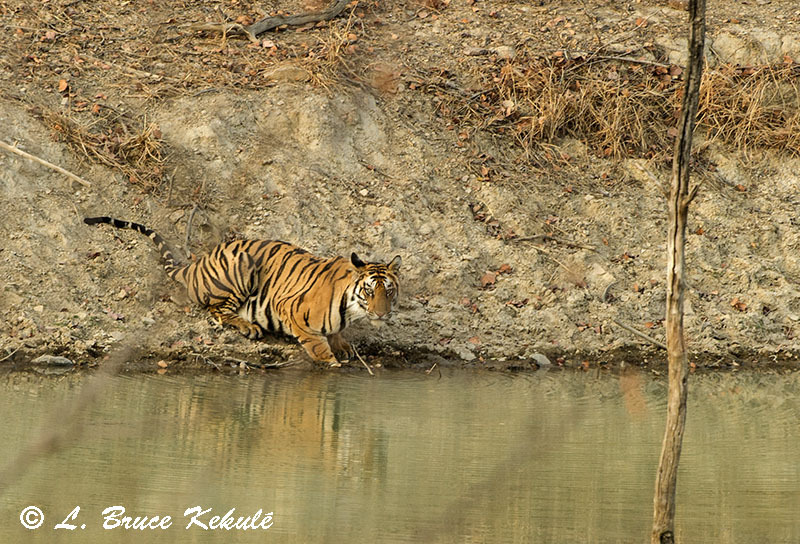 Male tiger crossing the Ramnagar River on my 2nd morning in Corbett…! 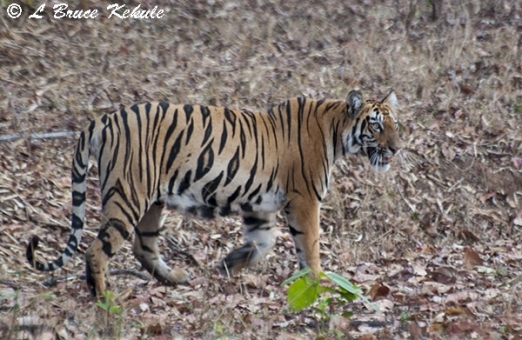 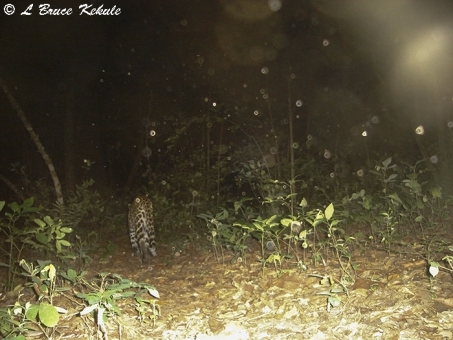 This trip, I managed to get four tigers in three days in the Dhikala Zone. 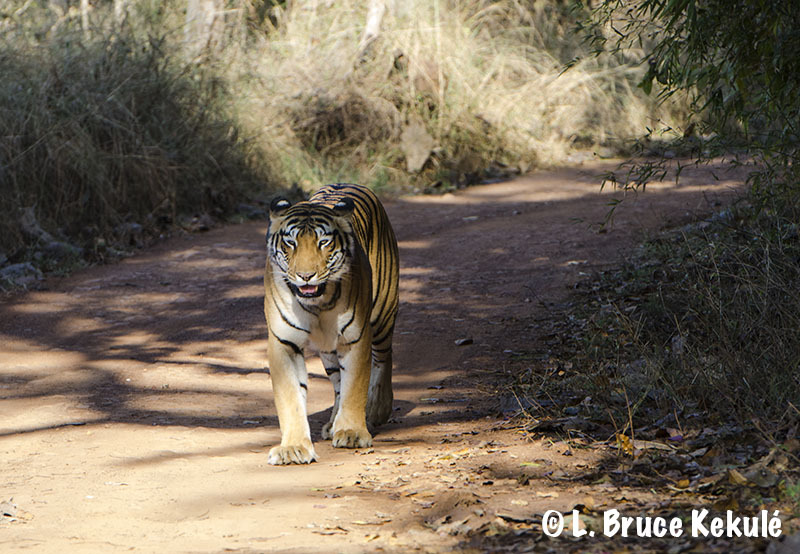 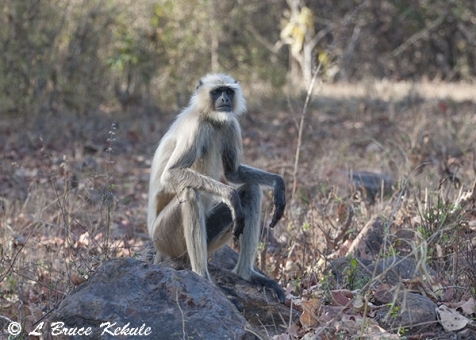 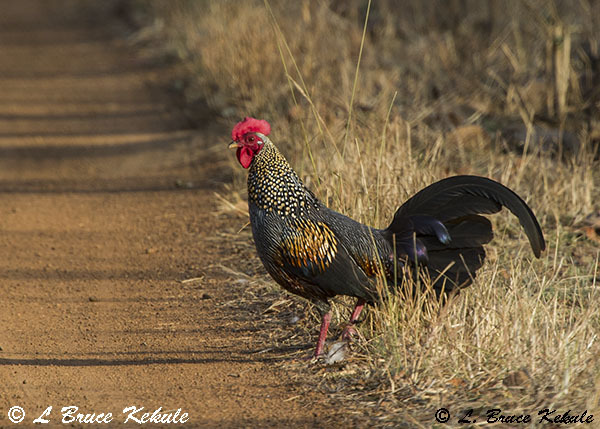 The first one was a male that crossed the road in front of our jeep near closing time in the grasslands. 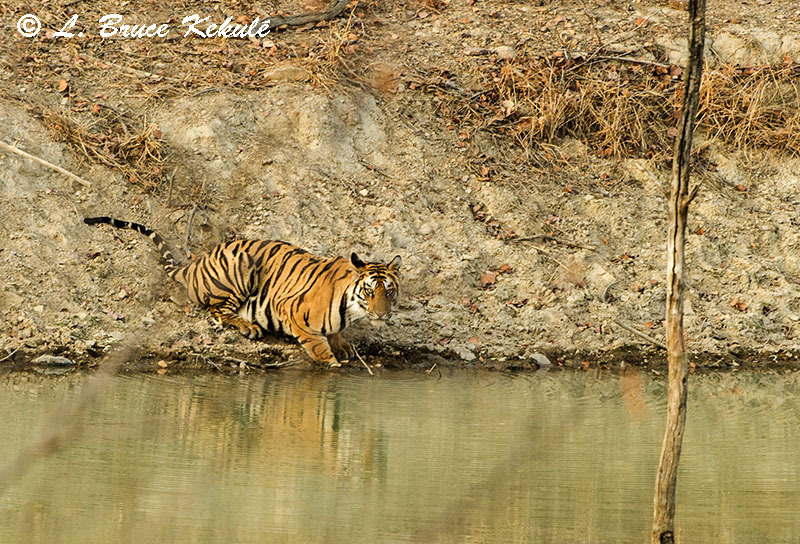 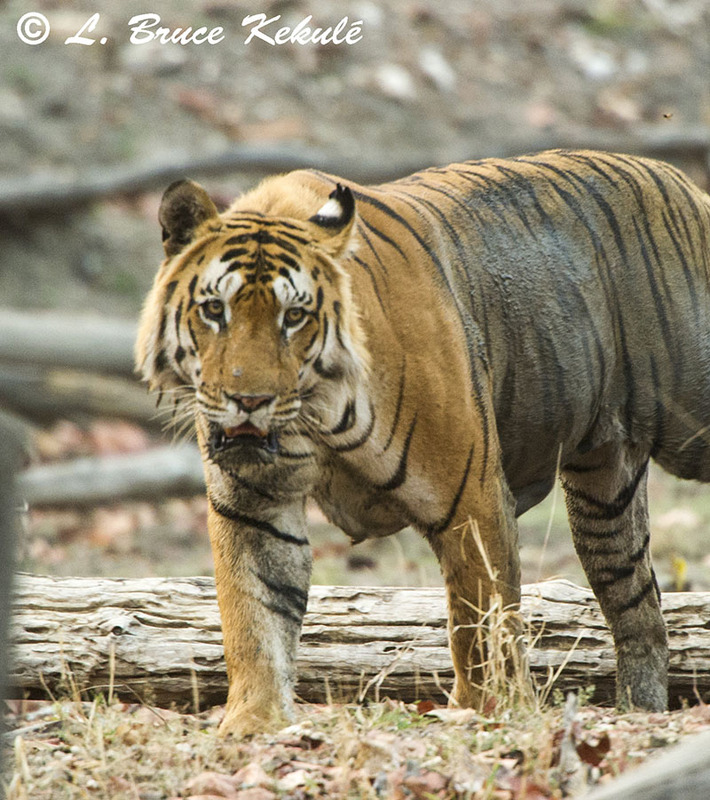 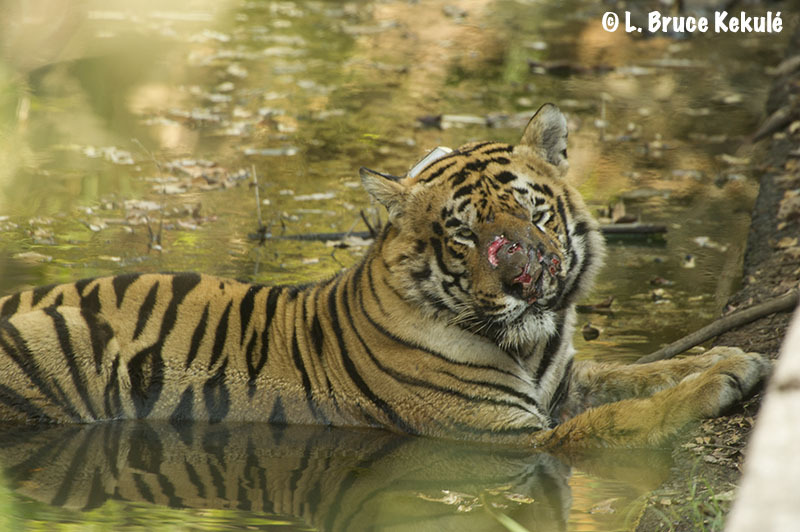 The second male tiger in mid-morning was caught crossing the Ramnagar River but at quite a distance. 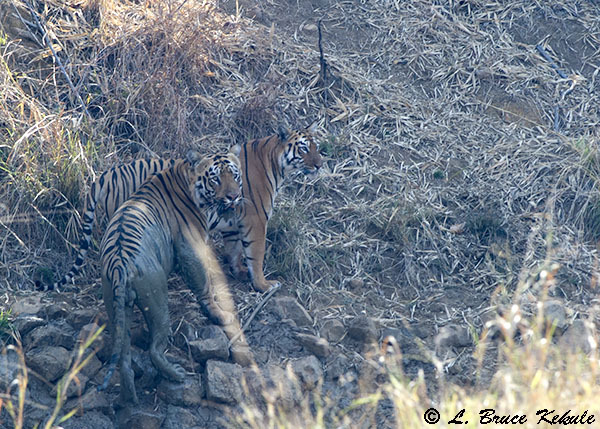 And on the third day in the morning, the very famous tigress, Paarwali and her male cub were seen in the rocky section of the river. 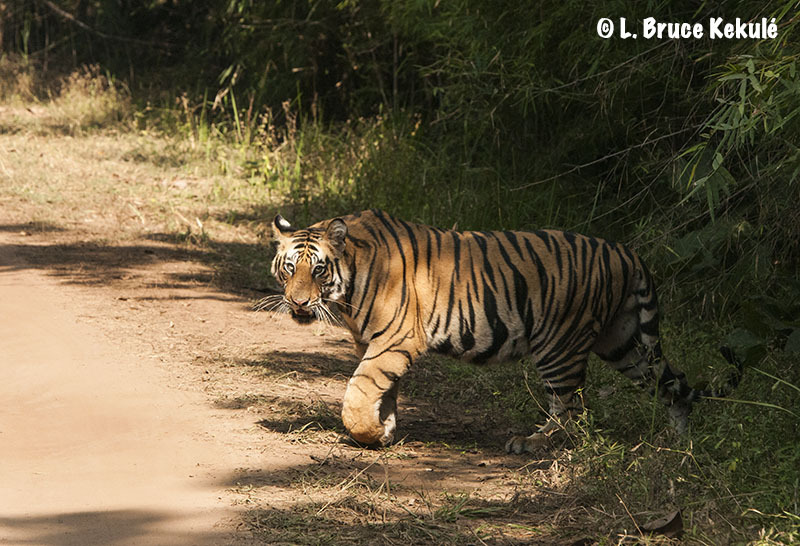 They both made there way closer to us and then jumped across the road a short twenty meters away. 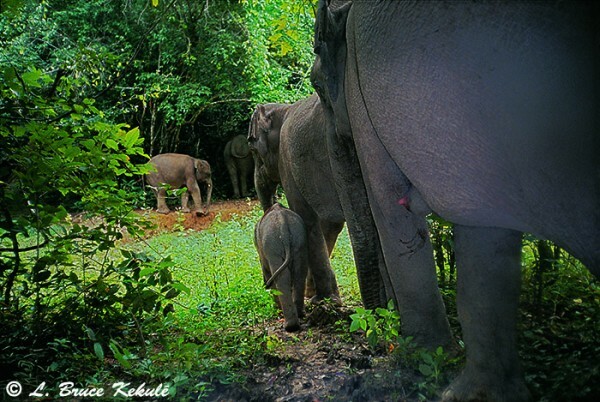 It does not get any better than that…! 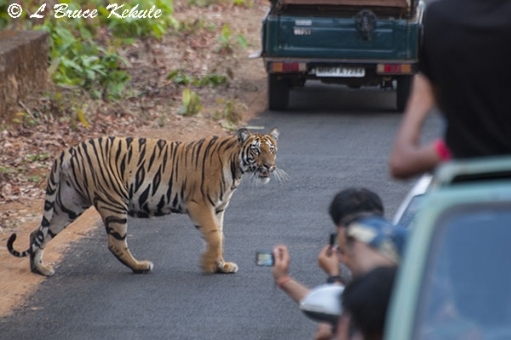 Paarwali crossing in front on my jeep on day three…! 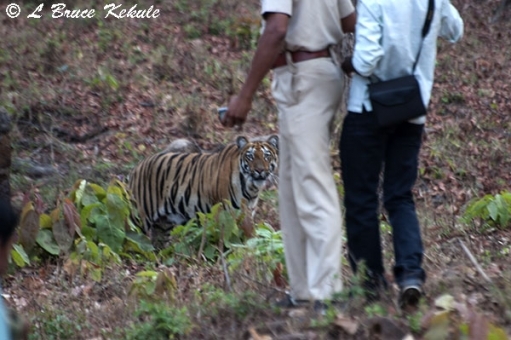 So my count now is 44 tigers in India. 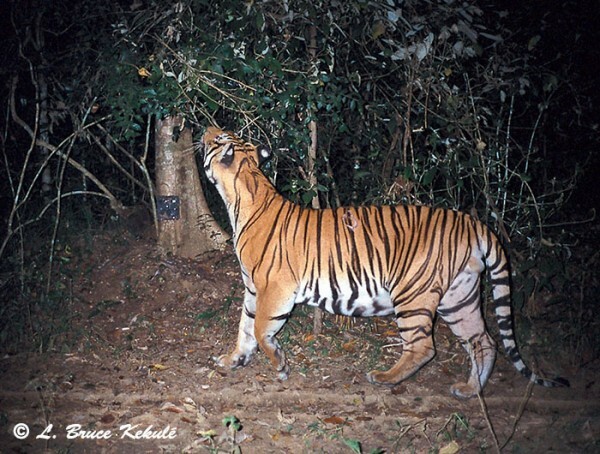 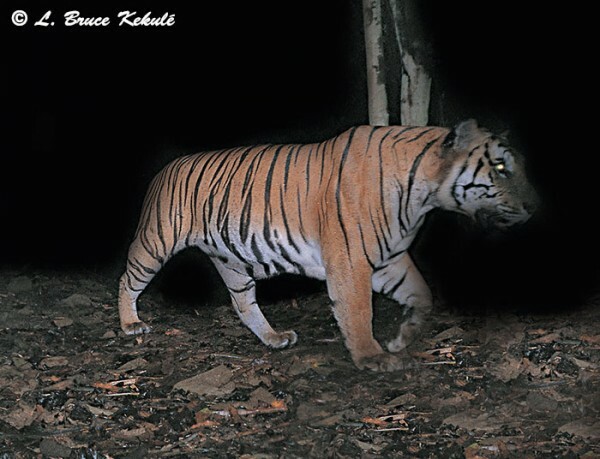 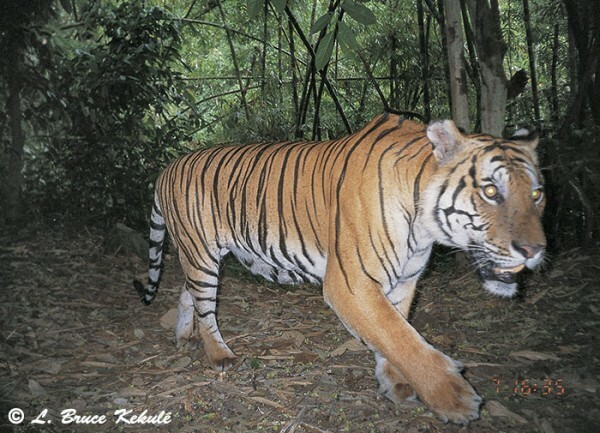 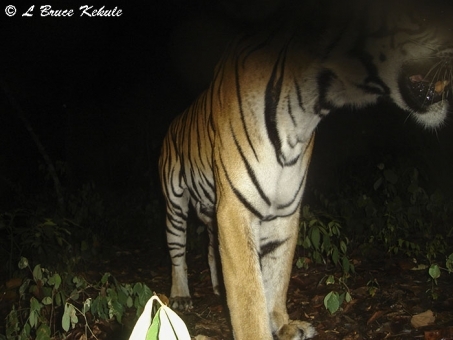 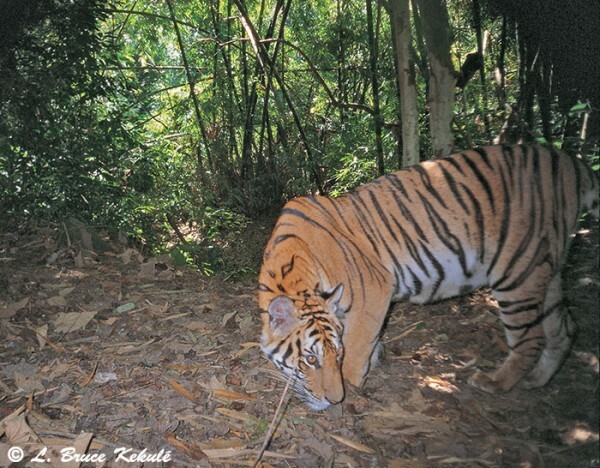 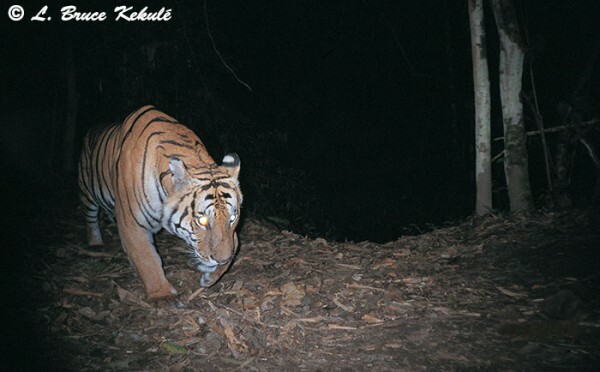 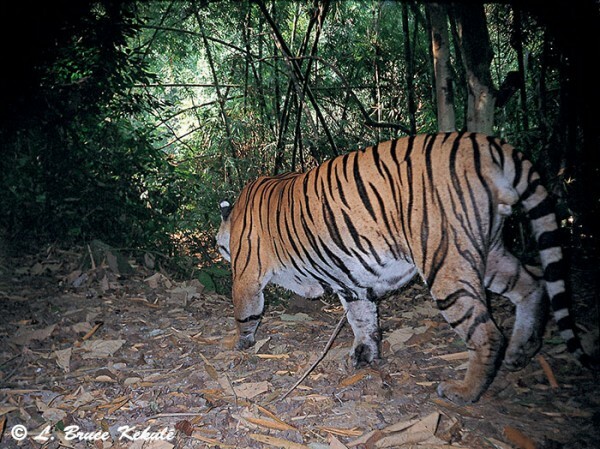 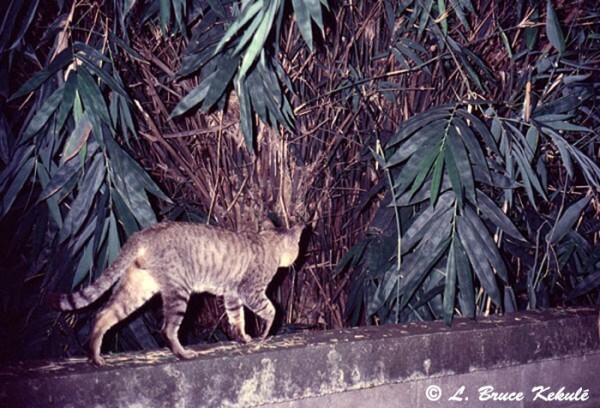 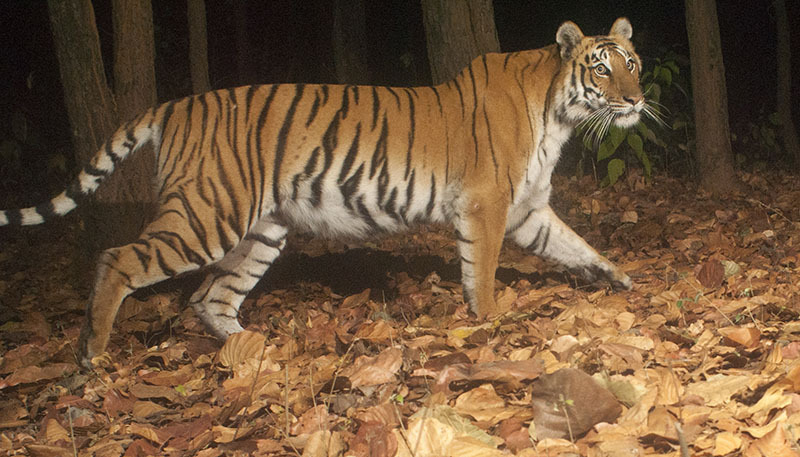 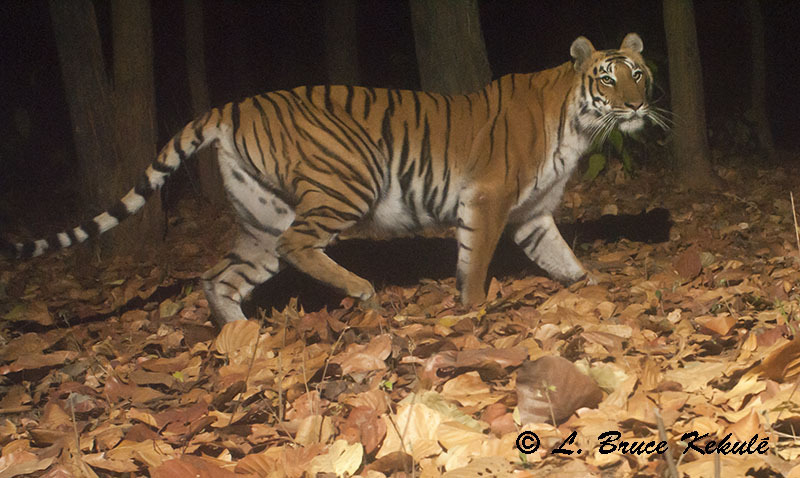 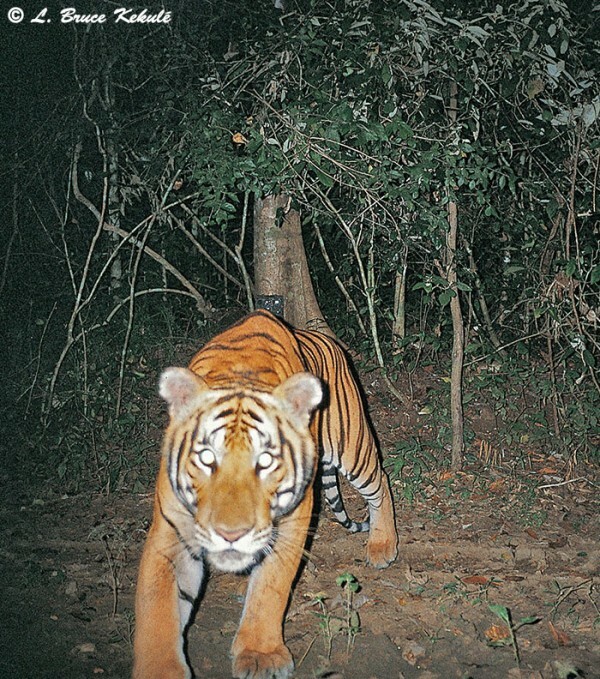 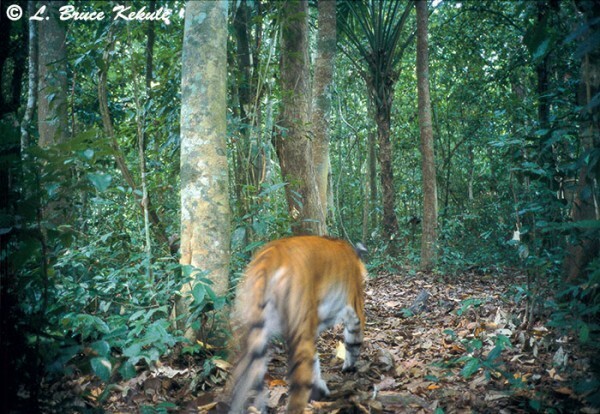 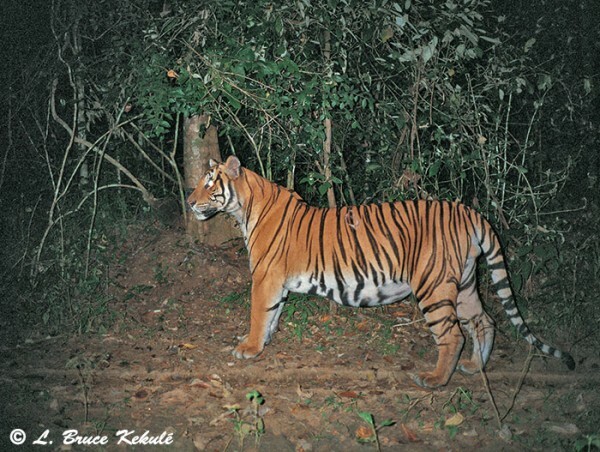 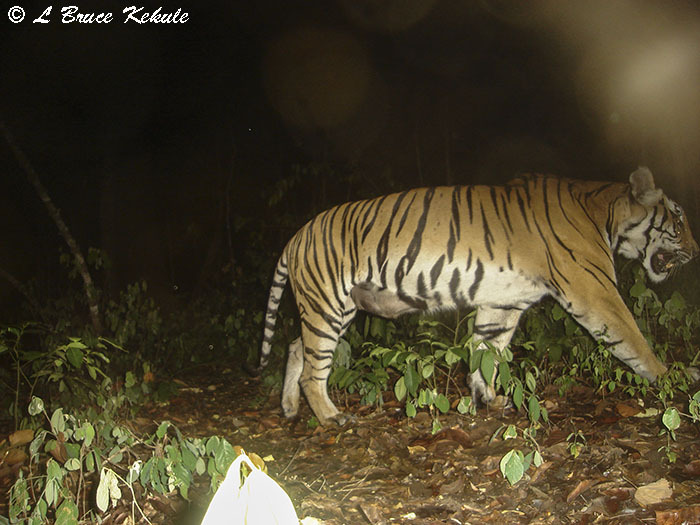 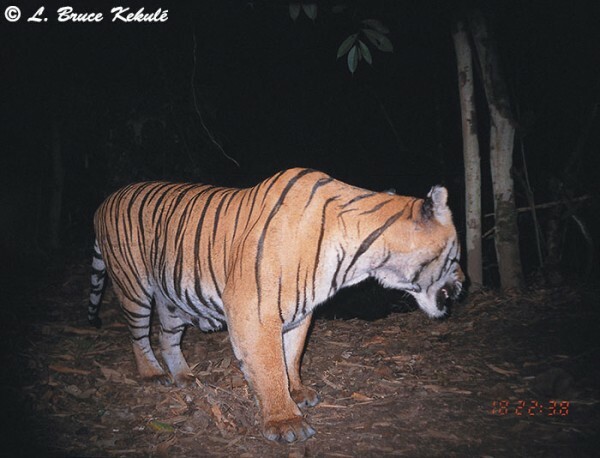 I have set some camera traps in the Terai Landscape on private land near the Ramnagar River and look forward to seeing the big striped cat on my traps. 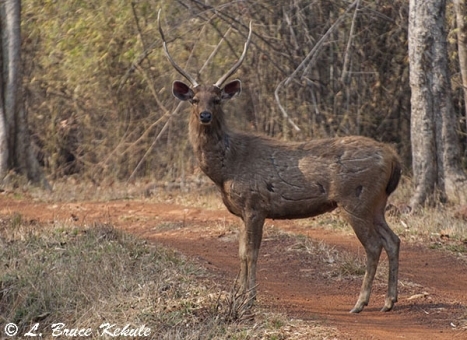 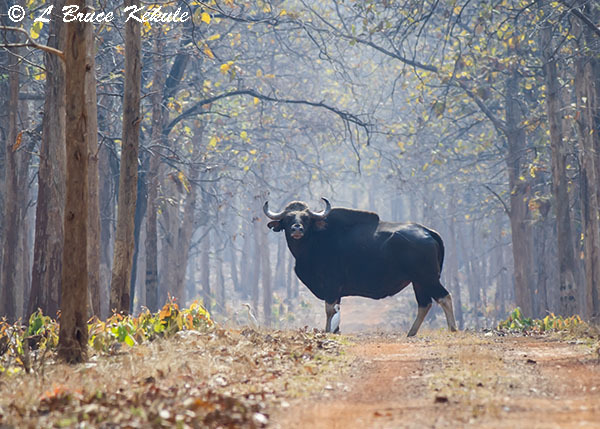 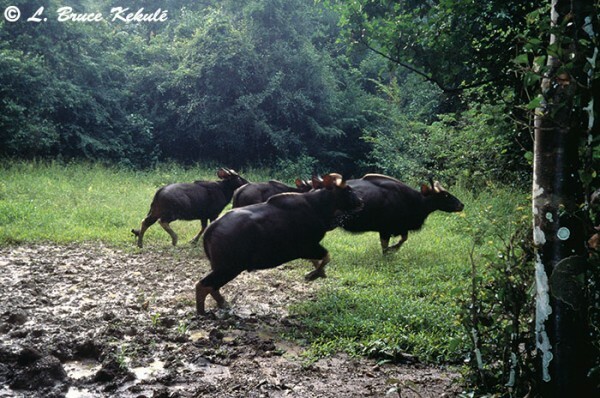 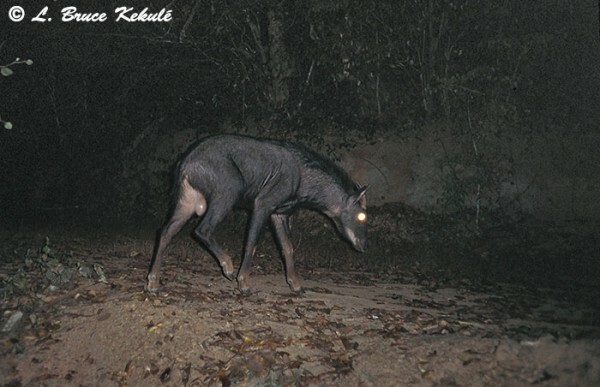 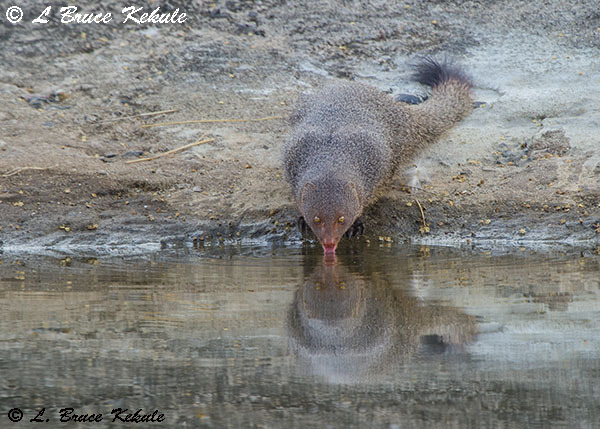 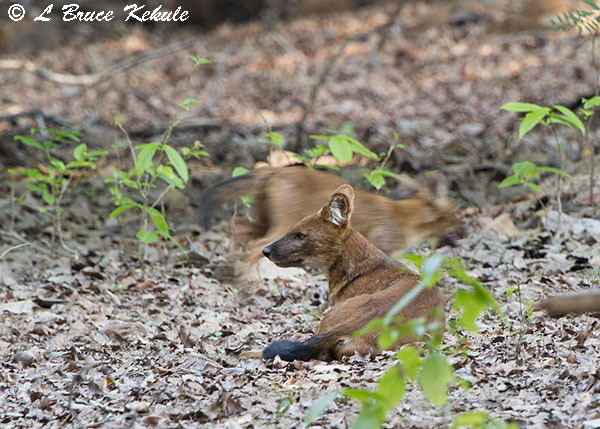 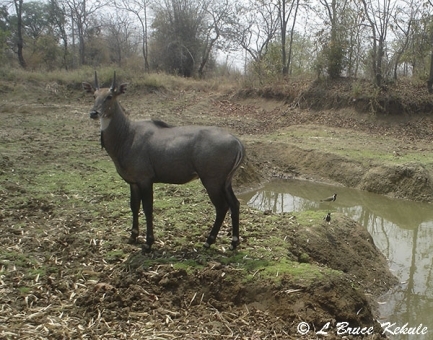 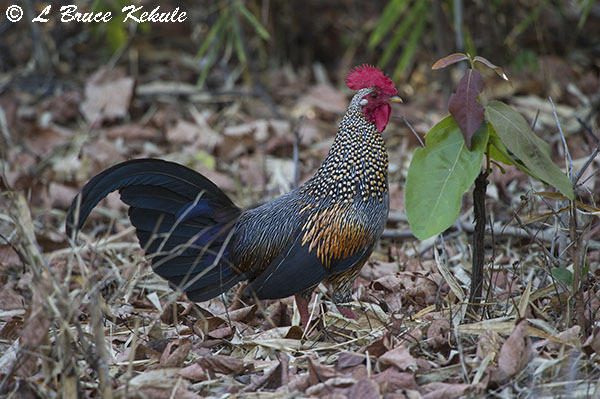 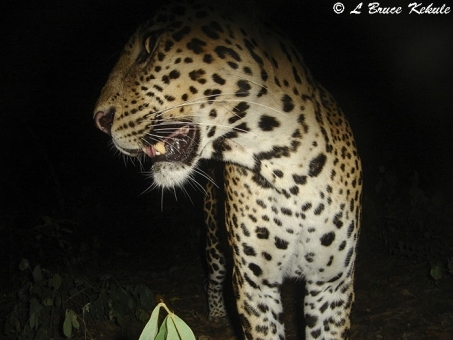 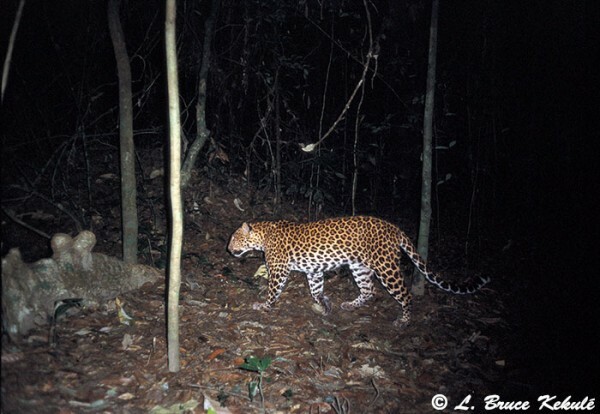 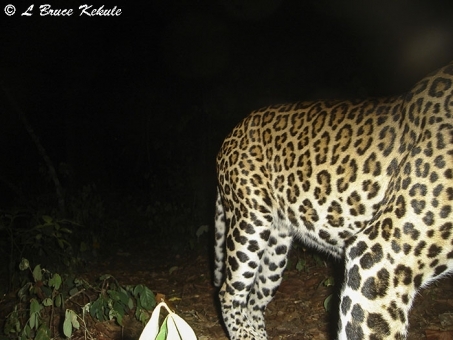 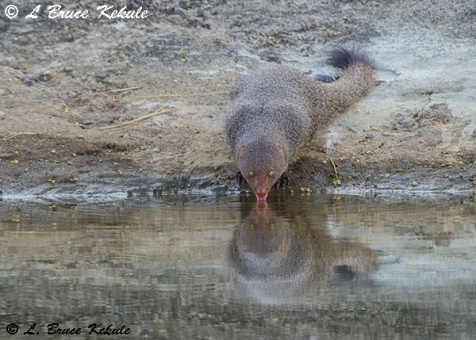 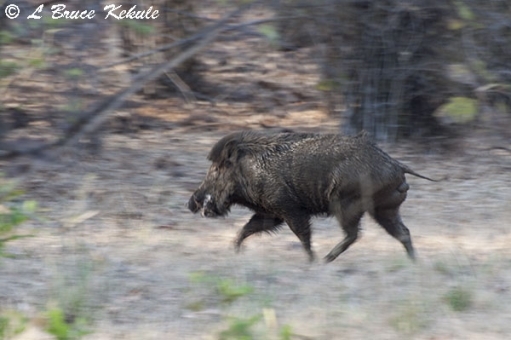 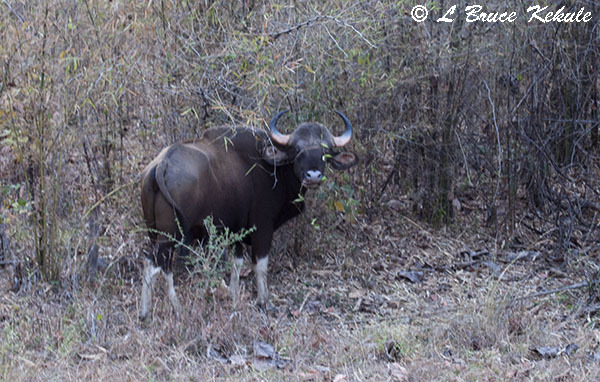 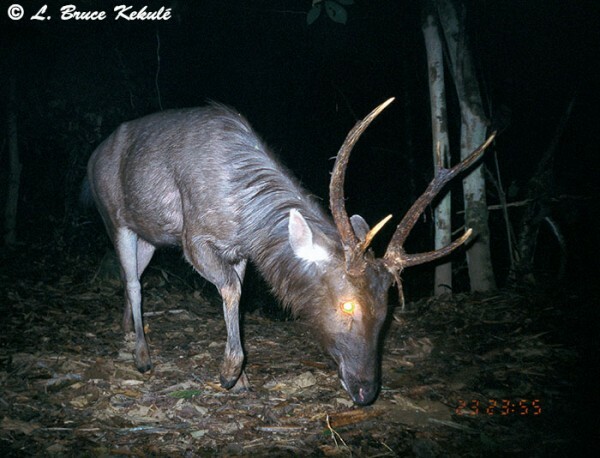 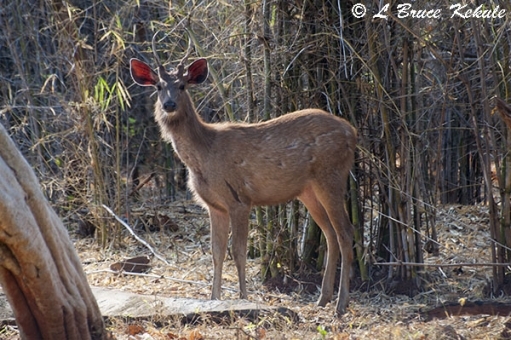 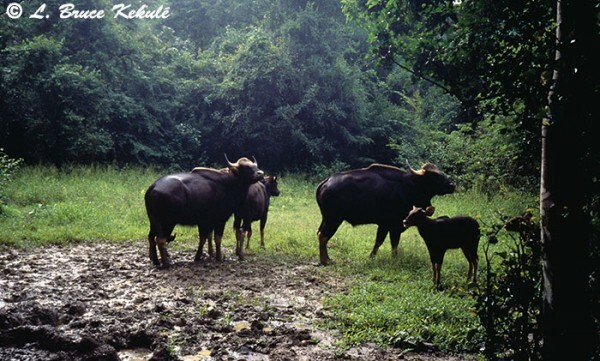 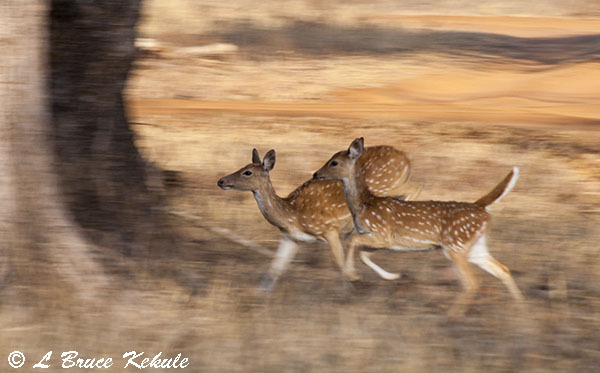 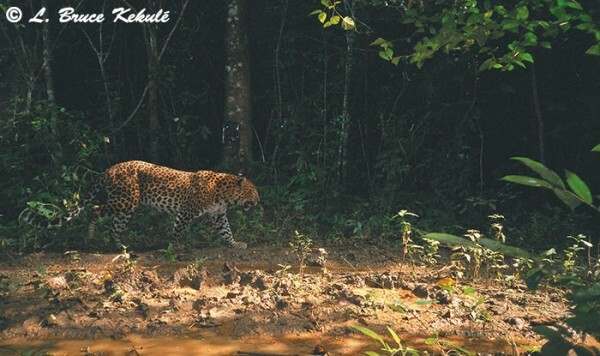 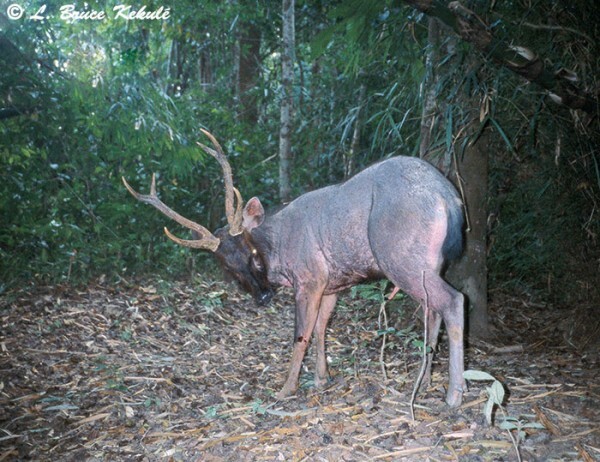 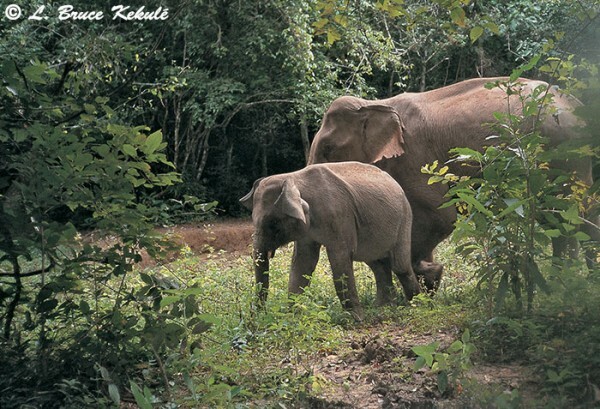 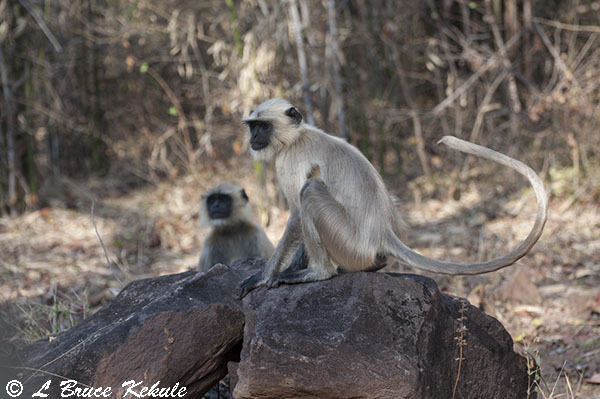 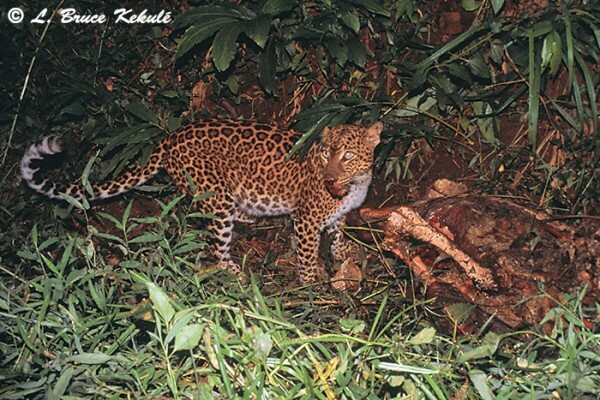 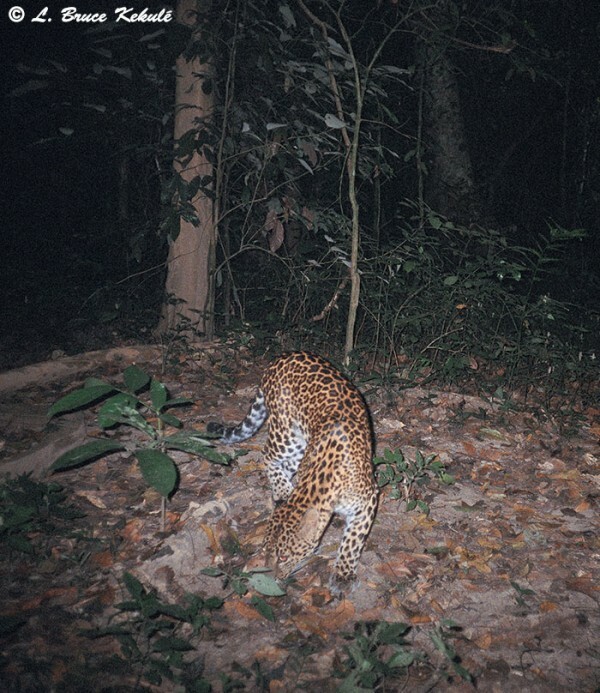 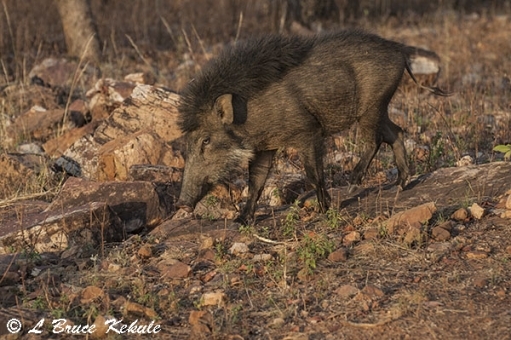 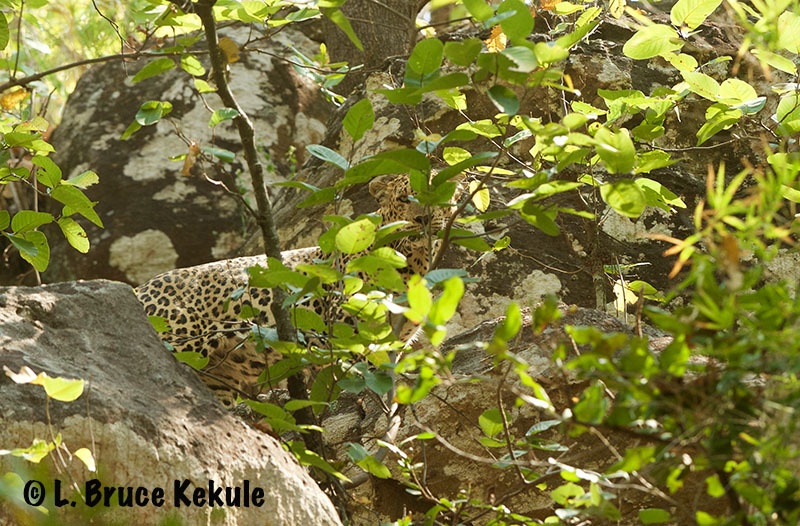 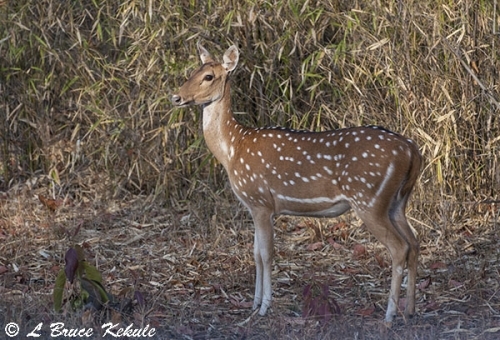 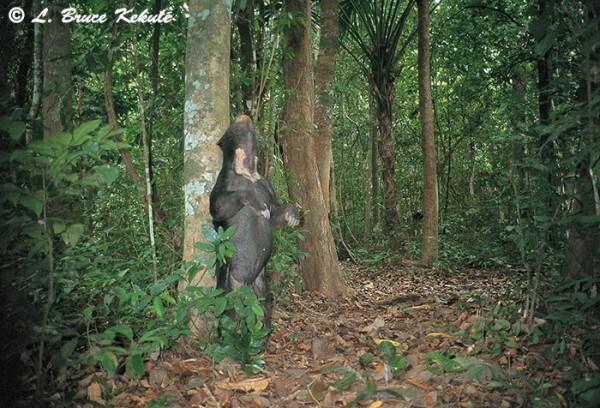 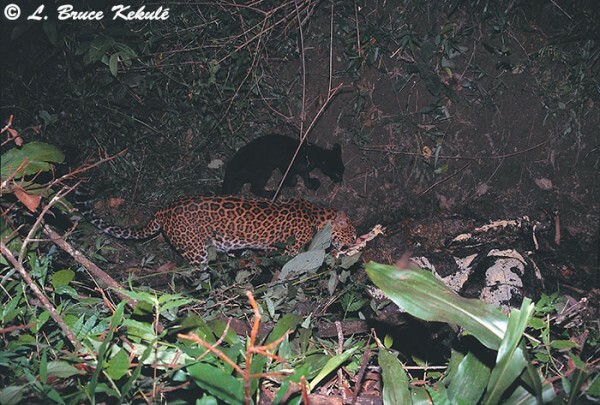 Leopards, goral, serow, sambar, chital, wild pigs and elephant also frequent the area. Only time will tell but that is another story. 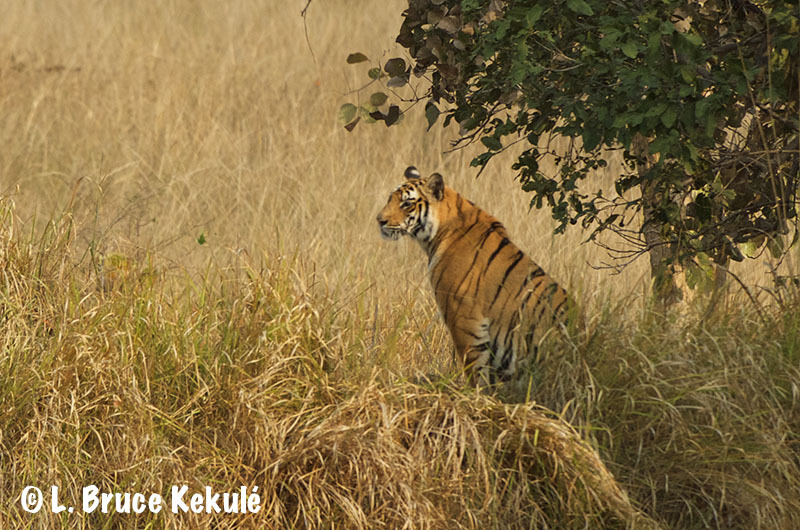 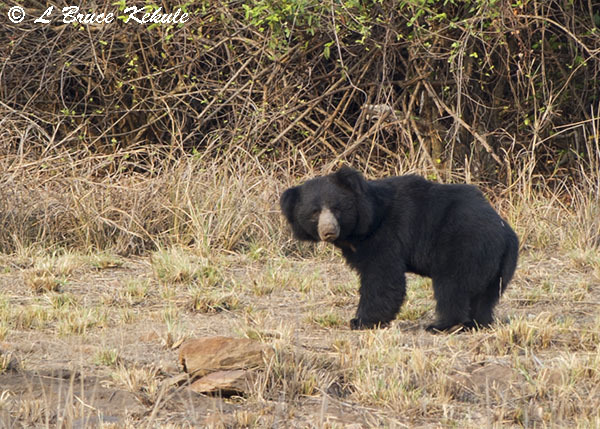 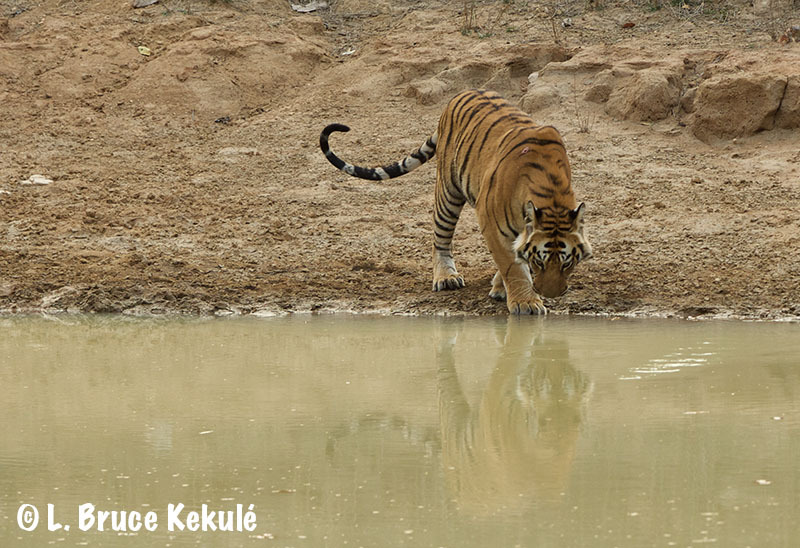 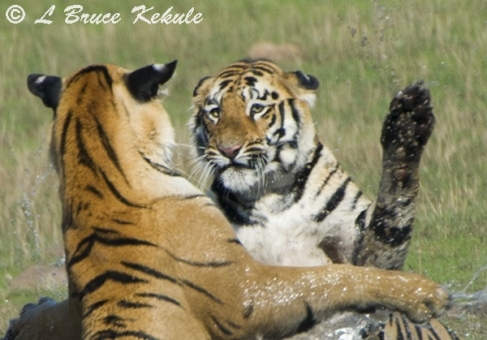 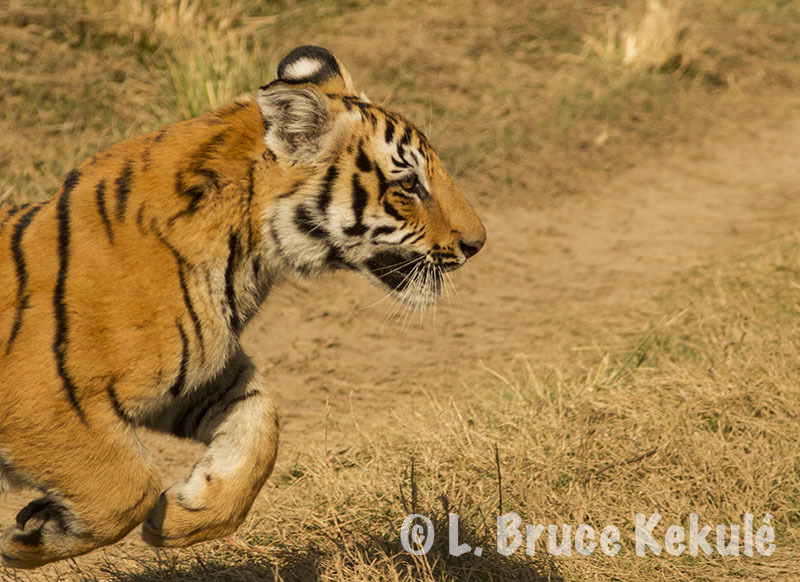 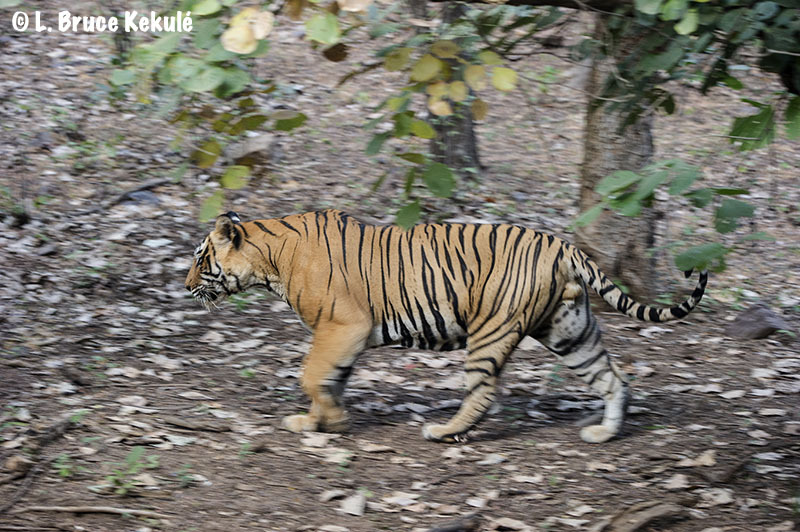 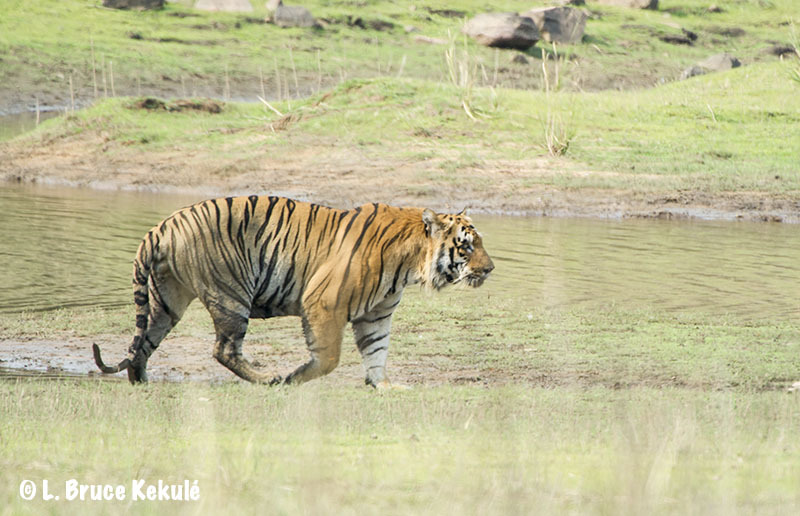 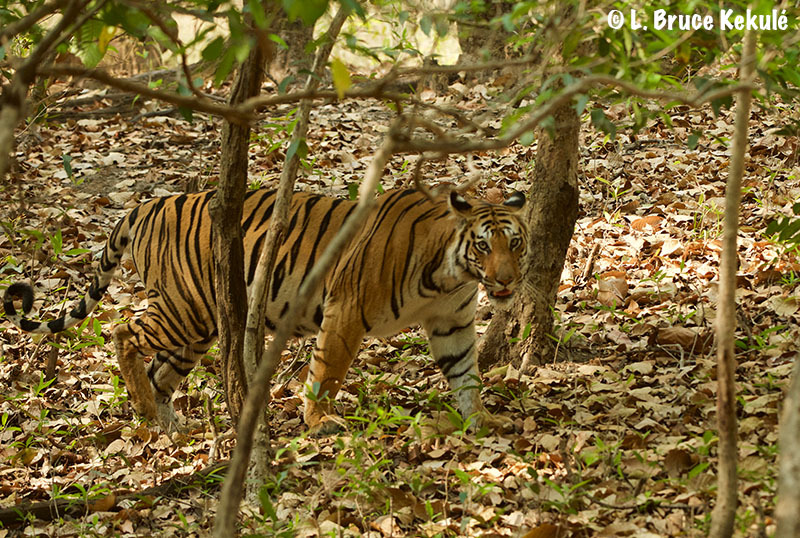 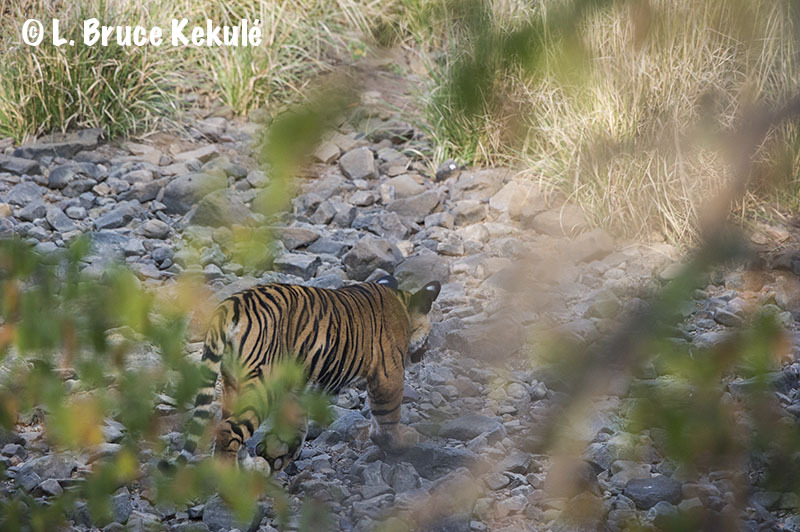 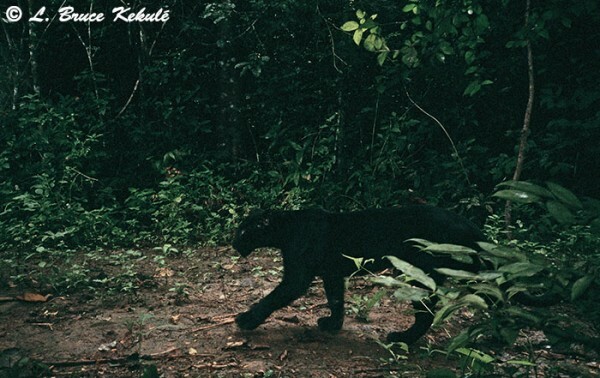 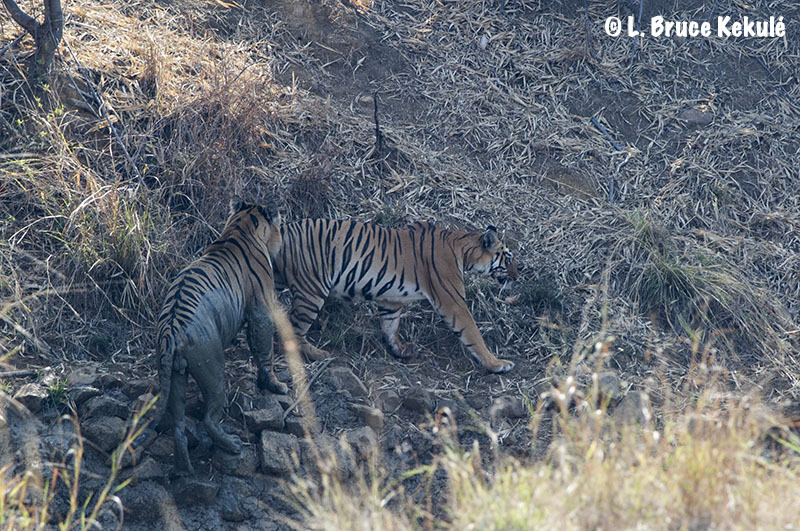 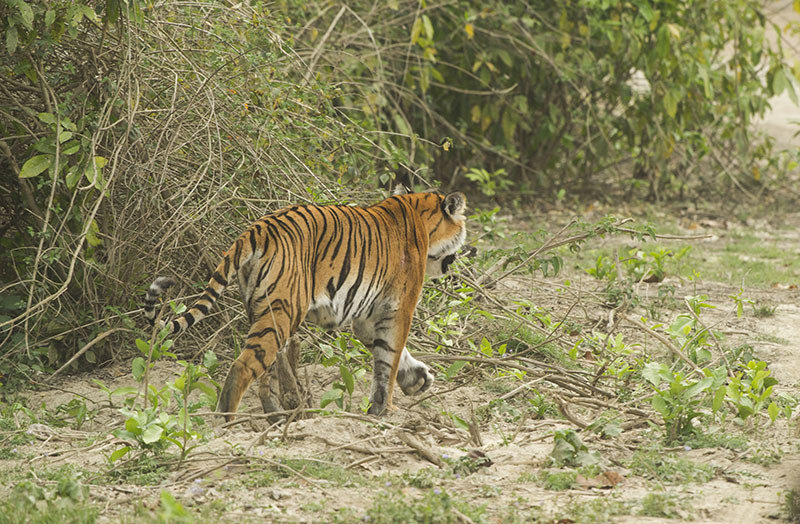 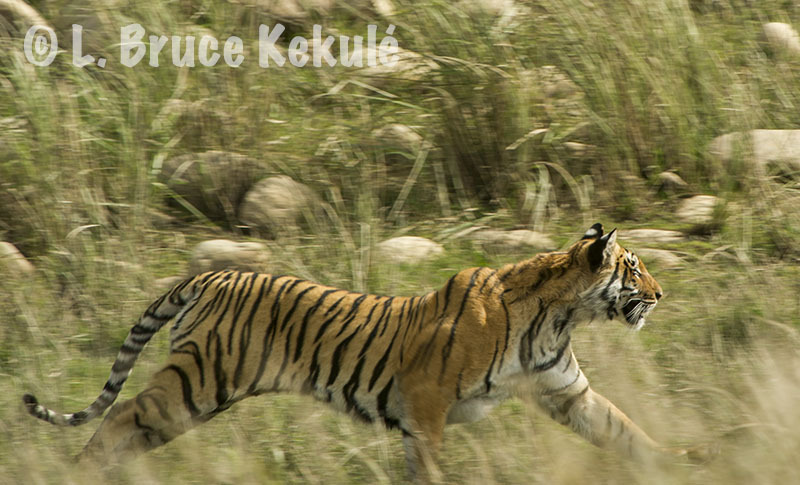 Paarwali’s male cub jumping in front of our jeep on day three…! 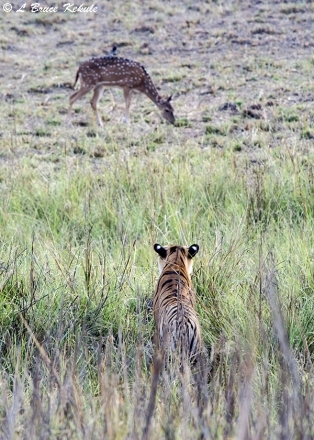 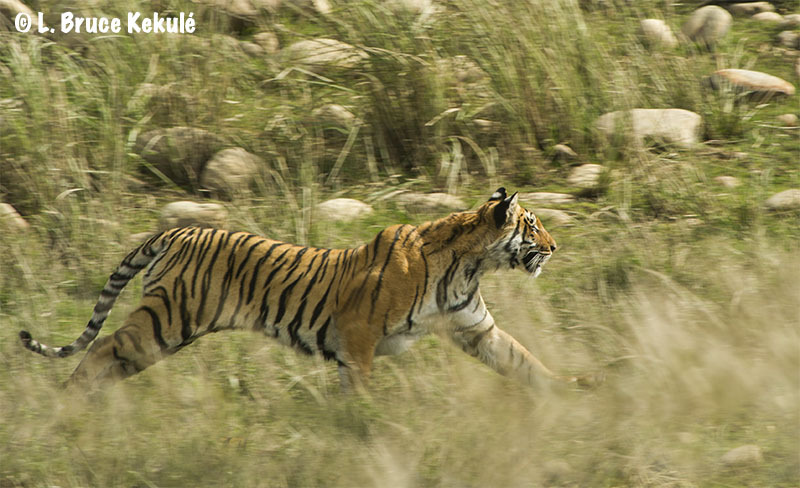 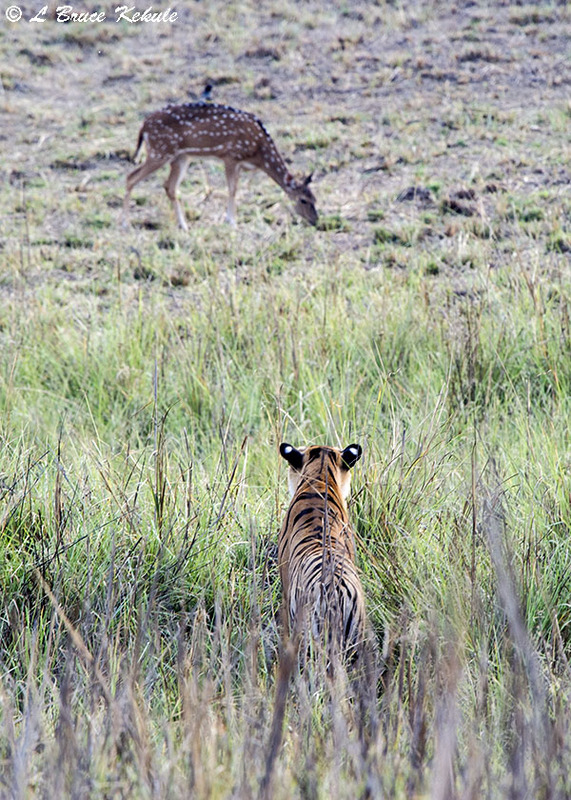 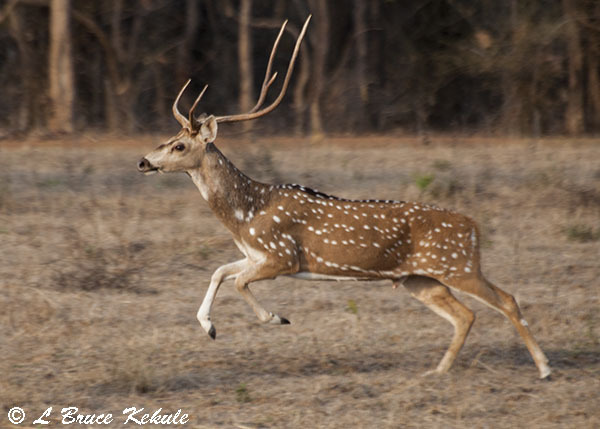 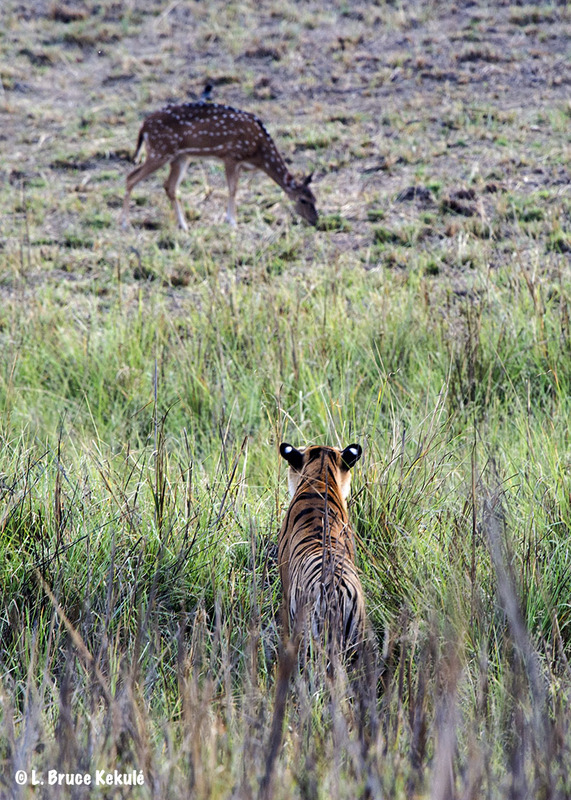 A young tigress chasing after chital deer in the grasslands near to Dhikala Camp on my first trip to Corbett-2015…! 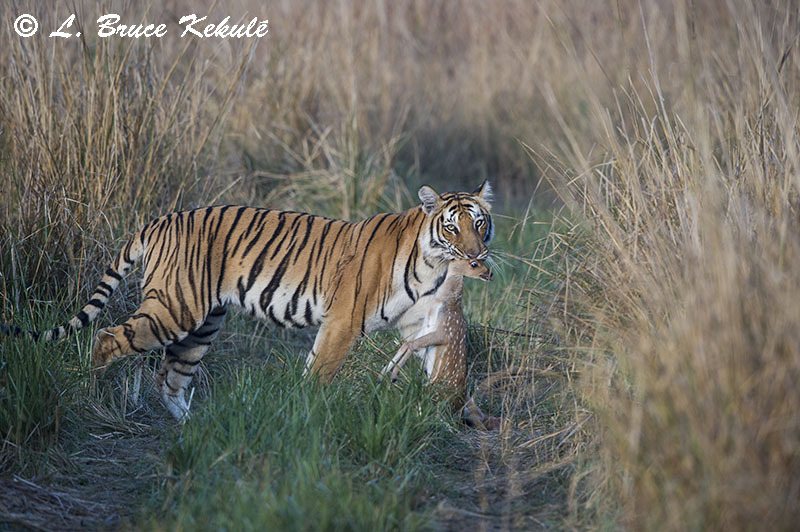 Paarwali tigress with a chital fawn kill on my 2nd trip to Corbett-2016…! 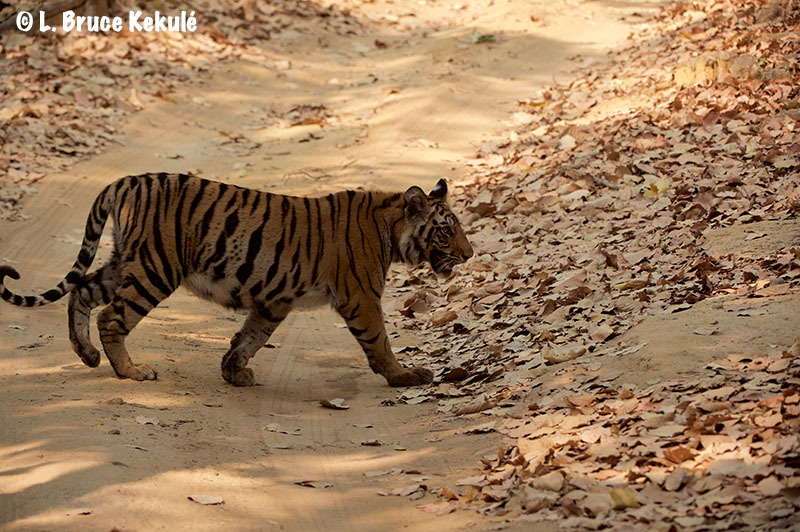 A male tiger crossing the road in the Sal forest near Dhikala Camp on my 3rd trip to Corbett-2017…!